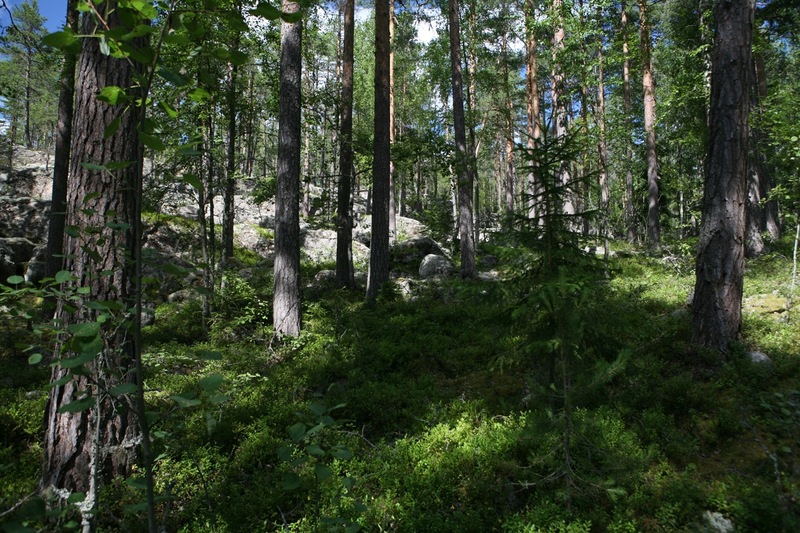 This page contains some stories, and photos from my trip to Sweden in July 2010. 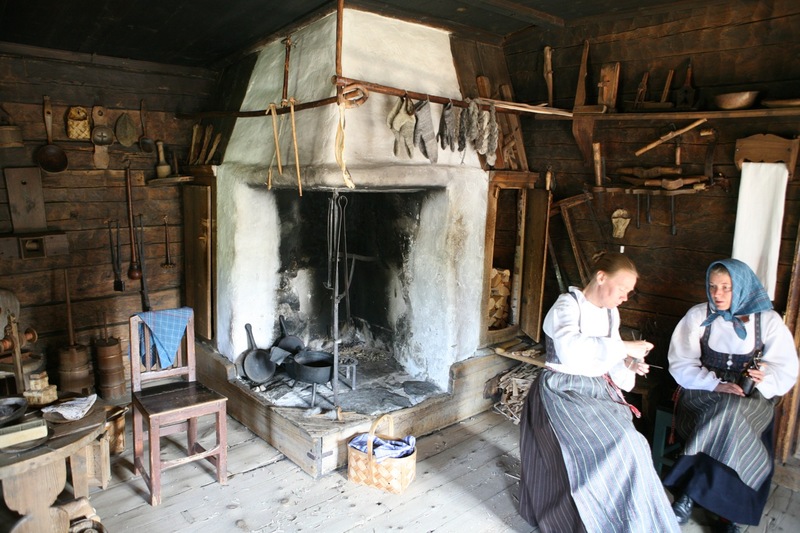 It includes visits to folk music festivals (stämma), workshops and time with master fiddlers, visits with friends, traveling throughout the countryside, plant life in a Swedish summer, and a visit to ancestral areas in Småland. 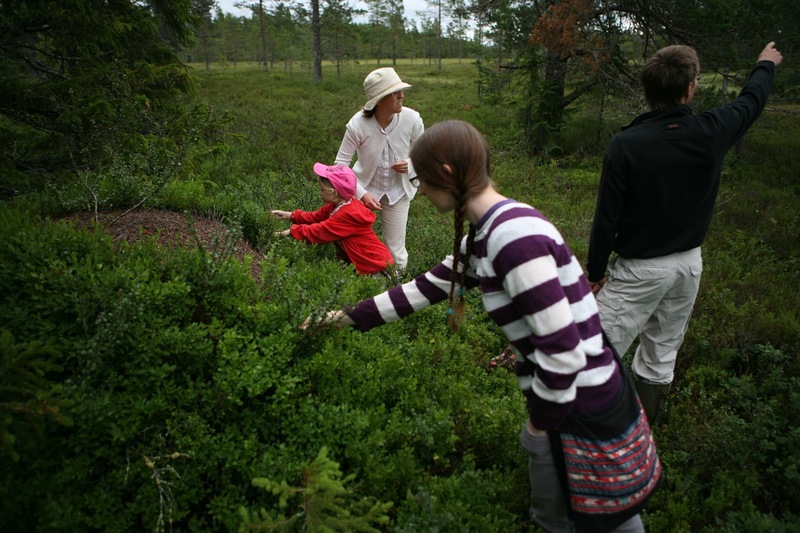 Ruth, accompanied me for 20 days and Rosemary for 8 days of this trip (both are members of Ingevalds Spelmän). You can click on any of the photos to see a larger photo. The file size of the larger photos ranges from 150 to 500kb or so. The file sizes are not too large to download for slower internet connections. 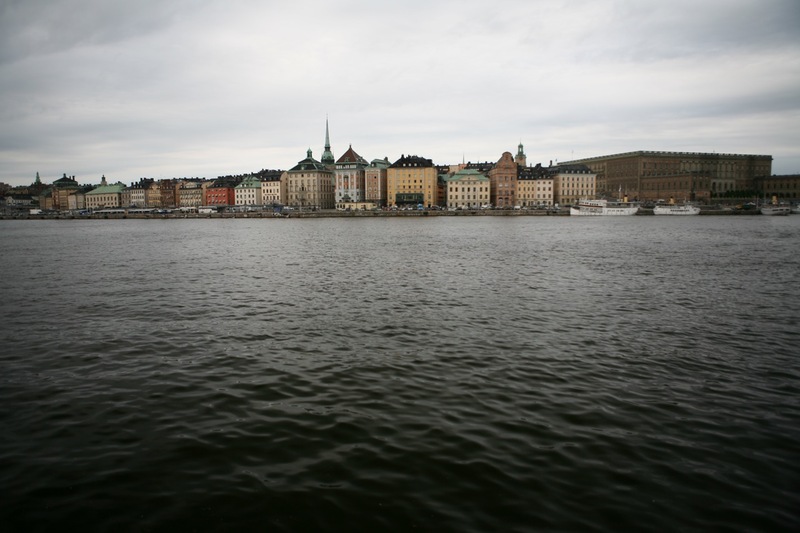 July 3 – After some busy weeks of planning and packing, I was in route to Stockholm. 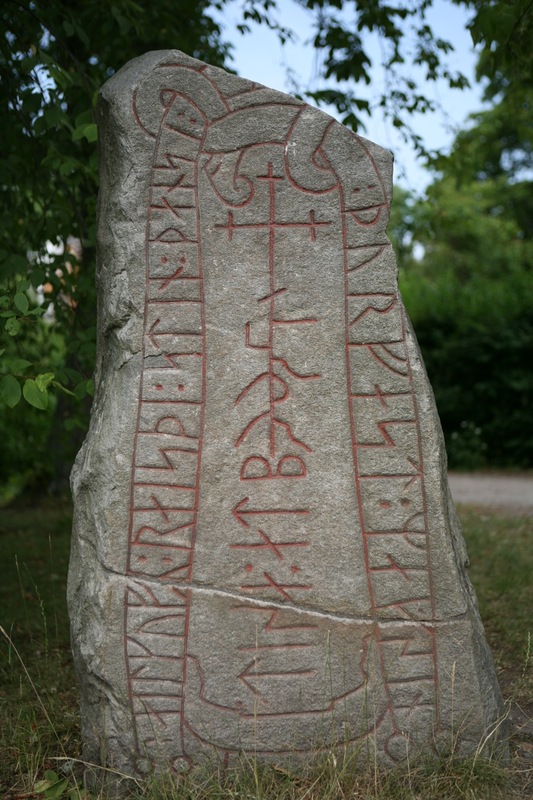 Kansas City, JFK in New York City and then Arlanda, the location of the airport north of Stockholm. The view of New York City and Long Island from the air was spectacular on this very clear day. The long lay over at JFK gave me time to test the new camera and digital recording device. July 4 – The day started somewhere over the Atlantic Ocean, landing at Arlanda mid-morning. I exchanged some currency, and took the flygbuss to the City Terminal in downtown Stockholm. I met my friend Kenton who I had made an arrangement with to use an extra vehicle for the duration of the monthlong trip. 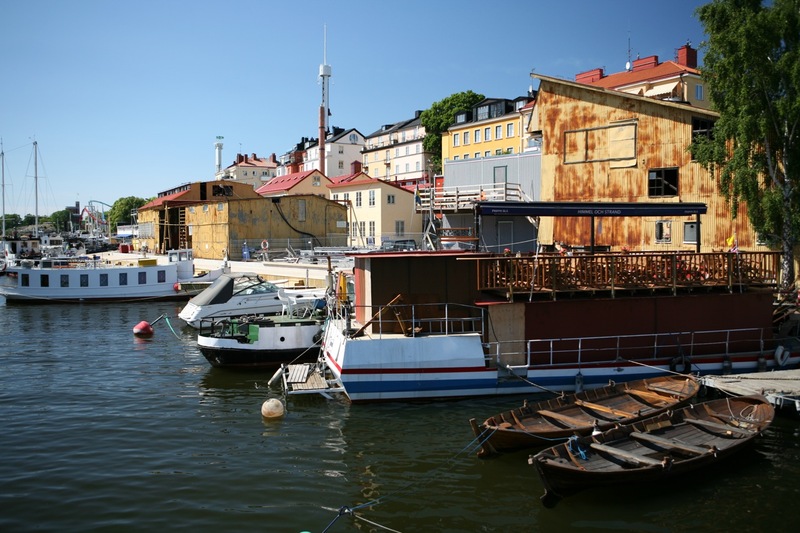 It was an extraordinarily warm day, hot for Stockholm. We walked around after getting settled in his small apartment. The low angle sunlight painted the outside environment with exceptional richly saturated colors. It was this way throughout the trip. 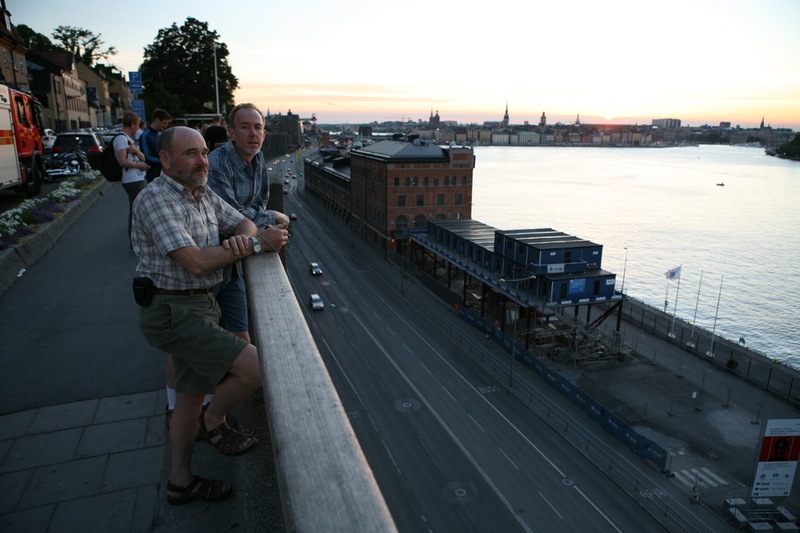 That evening I met up with my friend Mikkel. 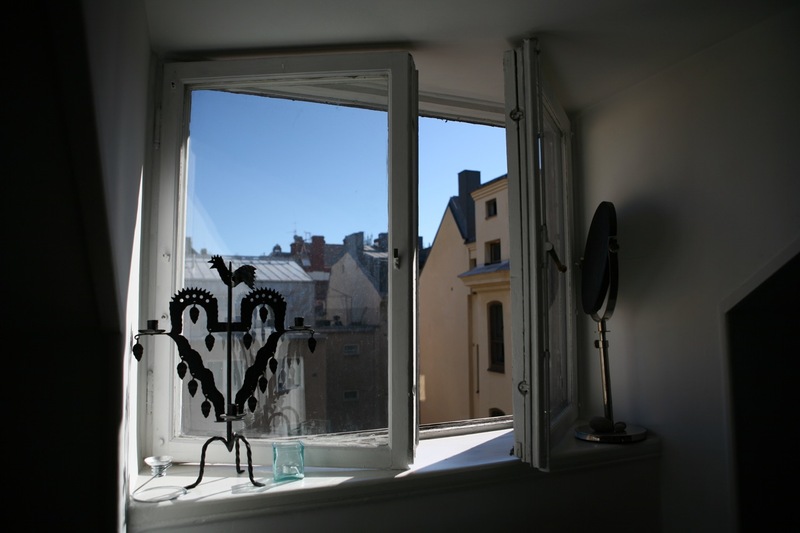 He checked out a city bicycle for me and we rode over to his place in Södermalm. 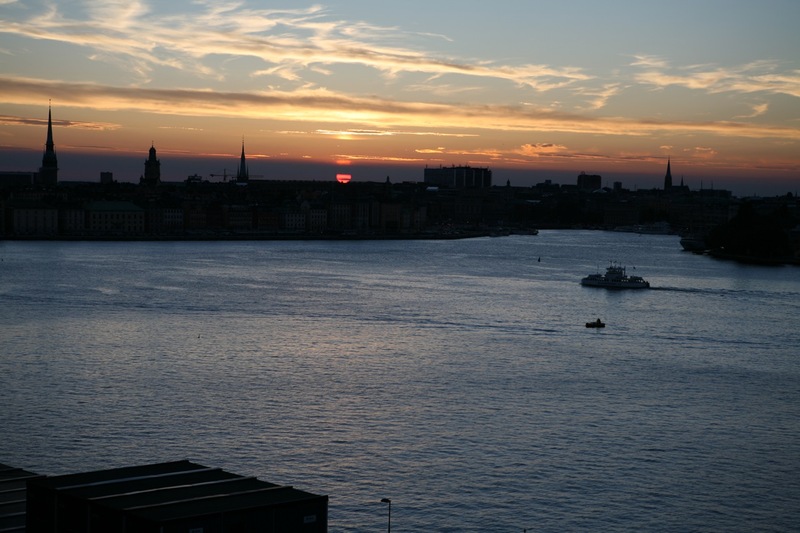 At the conclusion of the fine evening, we walked out to the edge of a high bluff on Södermalm, overlooking the harbor area and watched the very long sunset. A strong twilight continued the short night from about 11:00 till 3:00 in the morning. July 5 – I did a lot of walking today. I found the neighborhood grocery and was set for the day. 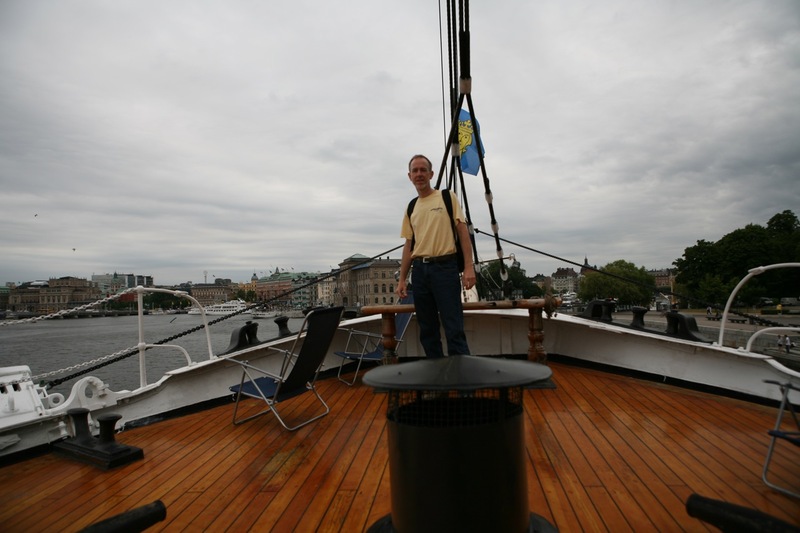 I walked to Skeppsholmen to see the af Chapman. I stayed on this ship, now part of the youth hostel when I was here in 2000. 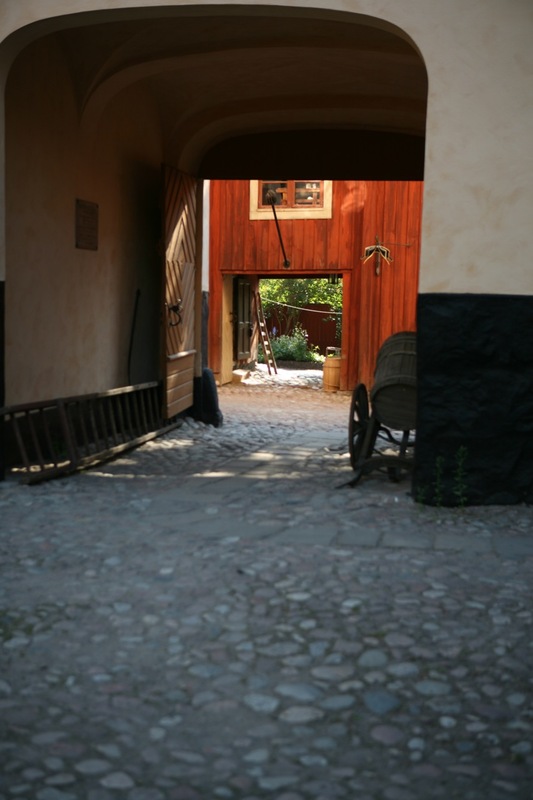 The majority of the day was spent at Skansen, the big open air museum park and zoo. 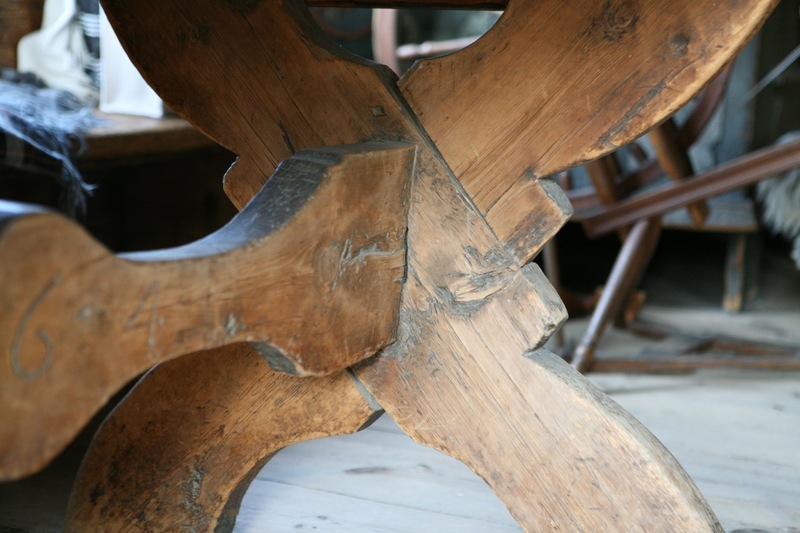 One of the important stops for me was to photograph and measure a sawbuck table at the Älvros farm site. 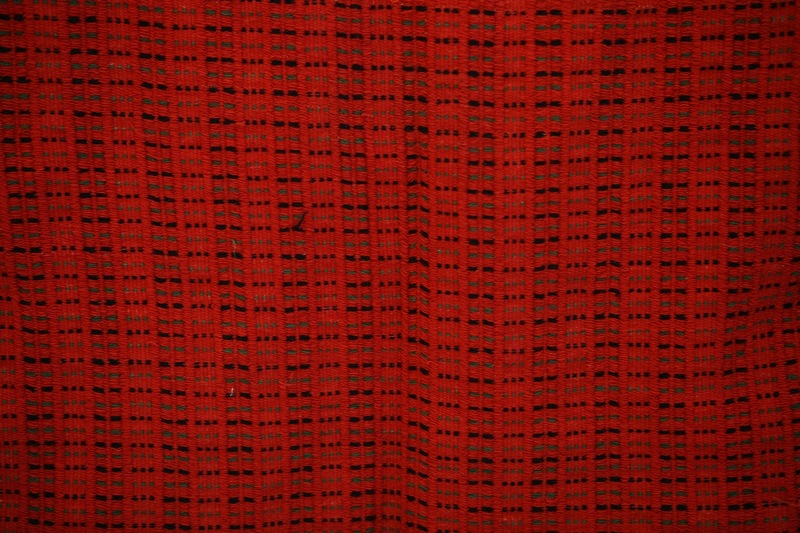 I like the old furniture. 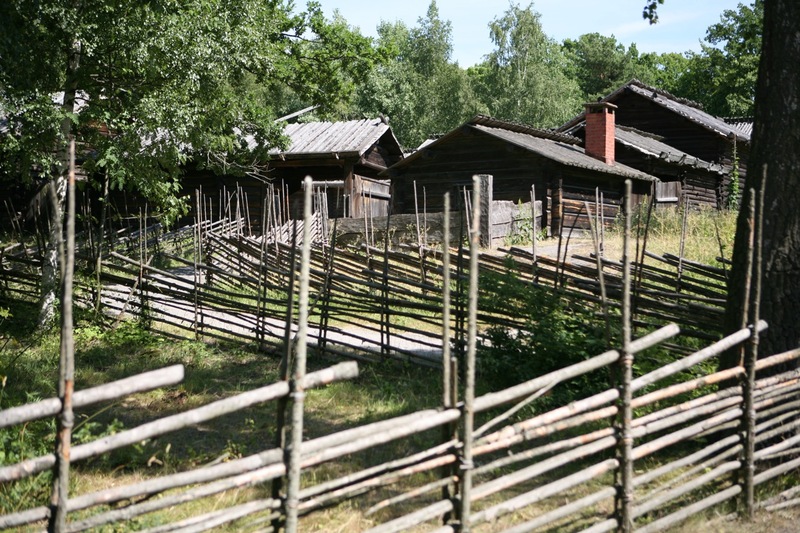 I greatly enjoyed my visit to Skansen this time because most of the buildings were staffed by folks that could talk to about the history and use. 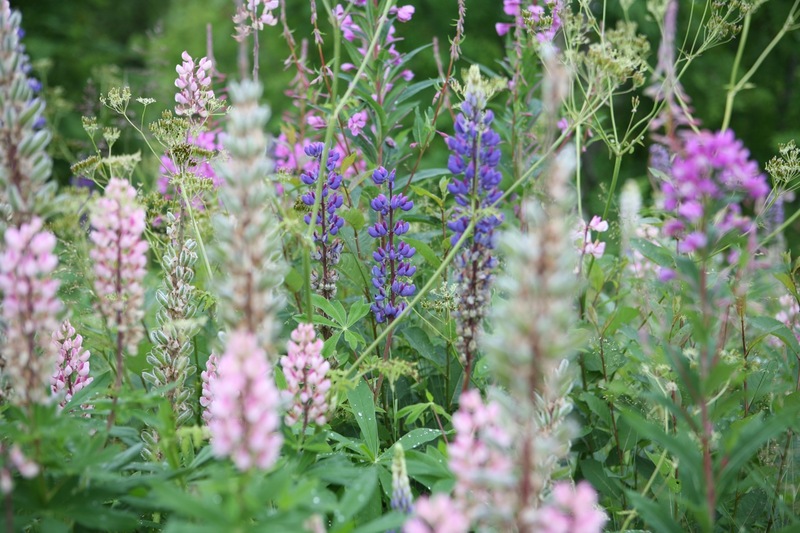 The gardens and flowers were richly colored and were found throughout this very large open air museum park. 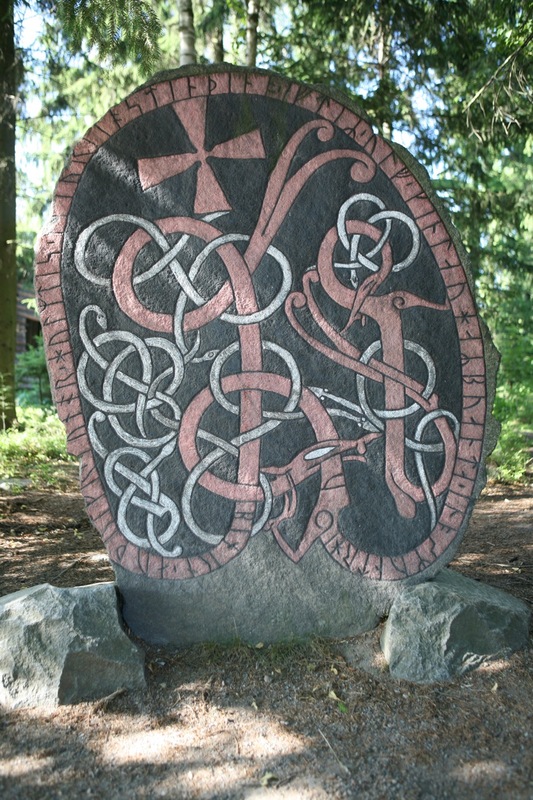 I found a couple of rune stones and saw many very interesting buildings. 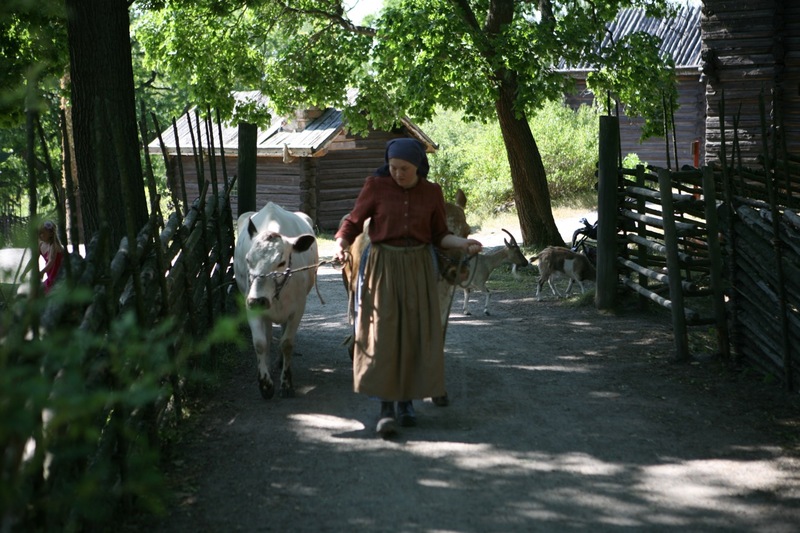 Information about Skansen can be found by clicking this link. 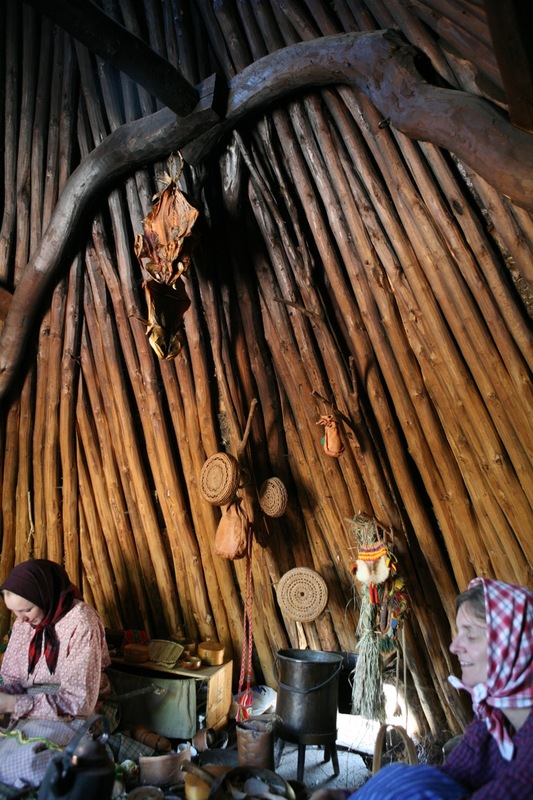 One of the surprisingly interesting stops was the Sami camp. The dwelling is shaped like a Native American teepee, but is constructed differently. 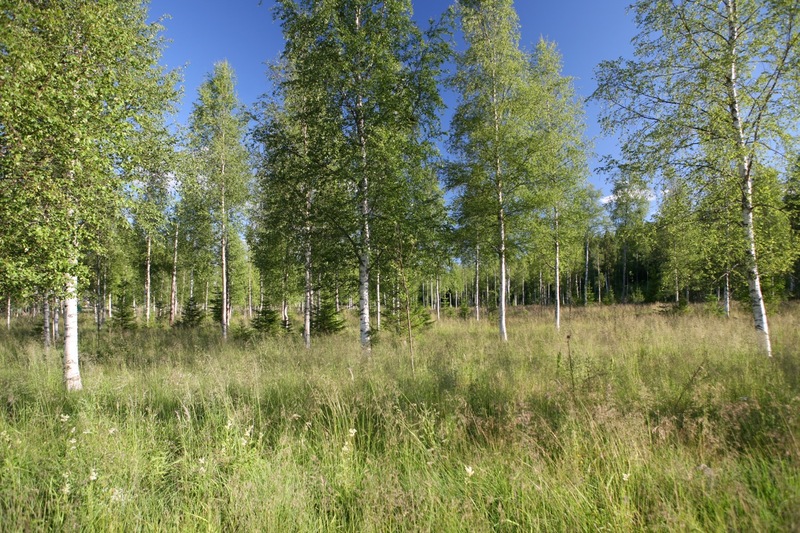 There is simple log skeleton and on this, birch branches (2 inches thick) are laid vertically all the way around. 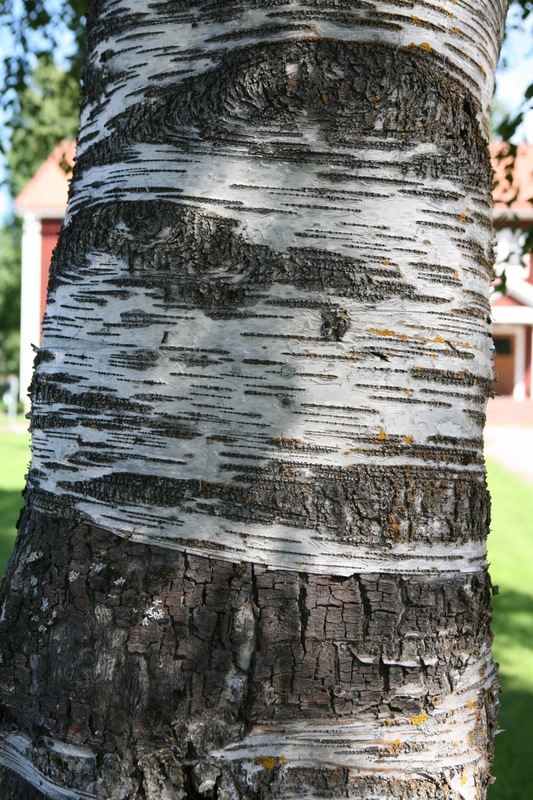 A layer of waterproof birch bark and sod make up the outside layer. There is an opening for smoke. It is very roomy inside and comfortable. 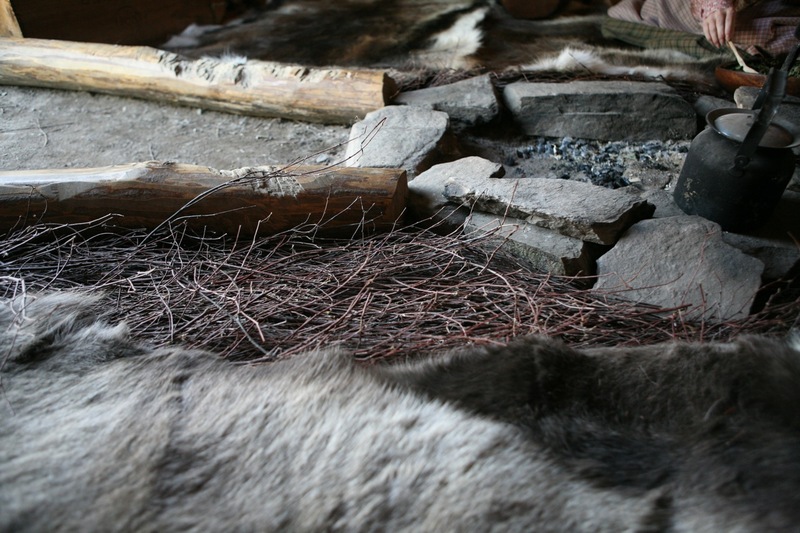 I sat on reindeer skins that had a very cushy layer of birch twigs underneath. 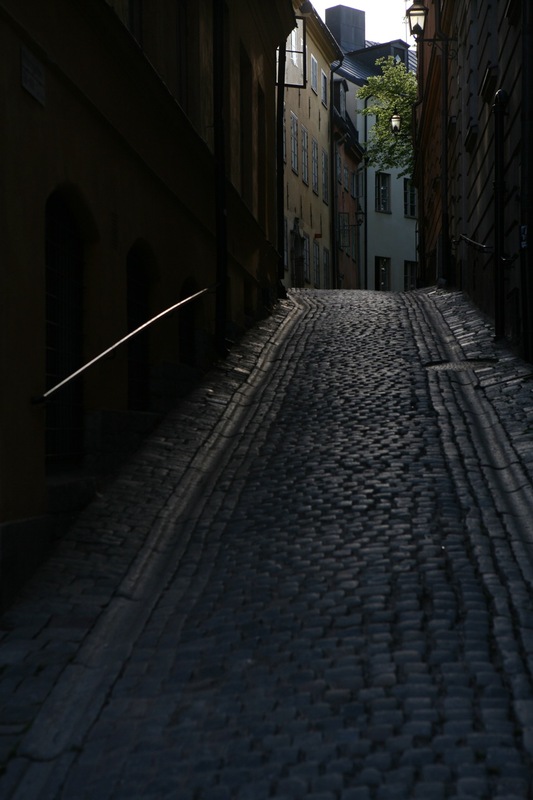 That evening I spent some time roaming around Gamla Stan, the very old part of Stockholm. More information can be found about this area by clicking this Wikipedia link. 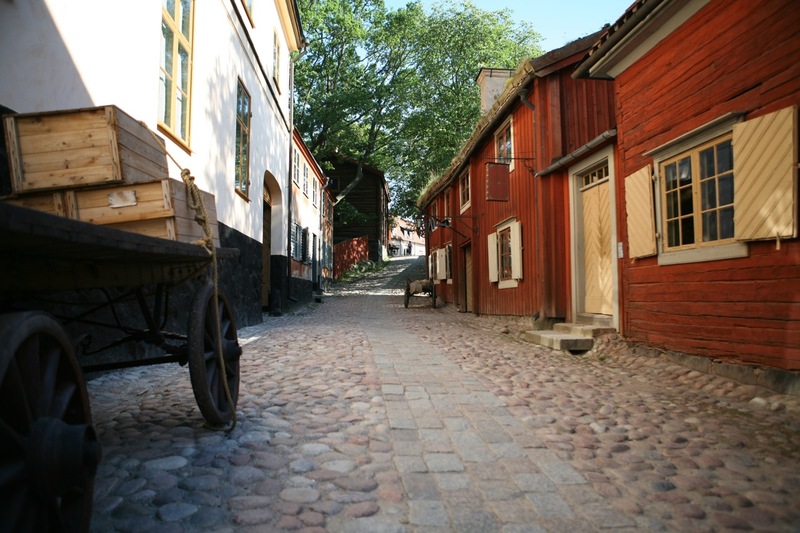 July 6 – Today I was on my own with the vehicle (a black 1993 Volvo) and managed to navigate my way out of town to the airport in Arlanda to pick up Ruth. All went well, including successfully using a credit card to actuate the gas pump on the way. We stopped at the Euro Stop, a large mega shopping center to get groceries and an ice chest. From there we headed to Rättvik to stay at Paul and Susanne’s place. 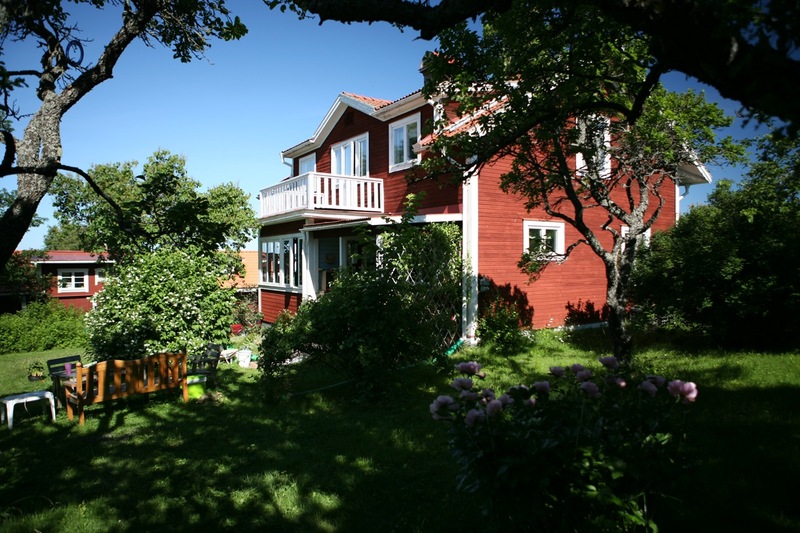 The live on an old farm site located on a big hill overlooking lake Siljan. Their yard was beautifully planted with flowers and other interesting plants. The mock orange fragrance was intoxicating from their large bushes. We arrived in time to attend a concert in the Rättvik church that afternoon. 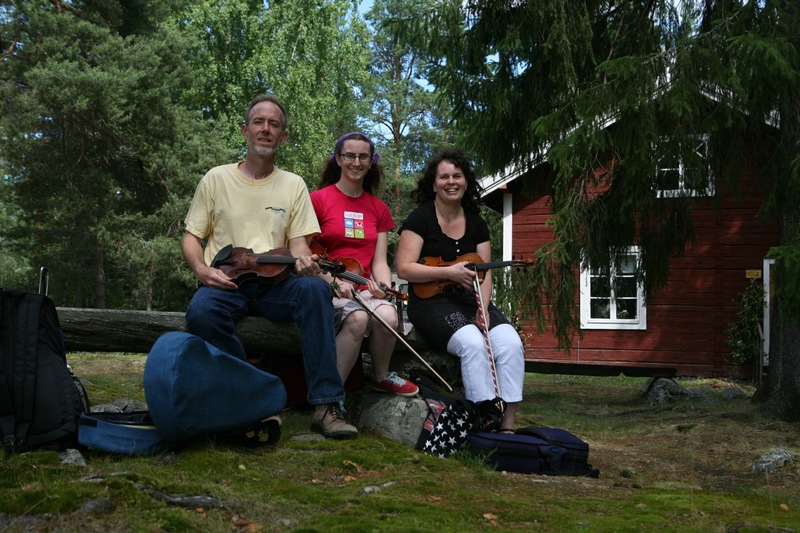 Musicians included Täpp Ida Almlöf, Leif Göras, Pers Hans Olsson and Anders Bjernulf. Other musicians from the local spelmanslag joined them for an amazing concernt featuring tunes from Östbjörka.That evening we went to a dance in Vikarbyn. It was packed and we were tired, not lasting very long. Good music and an interesting evening twilight (lasting all night) was a good way to conclude this day. 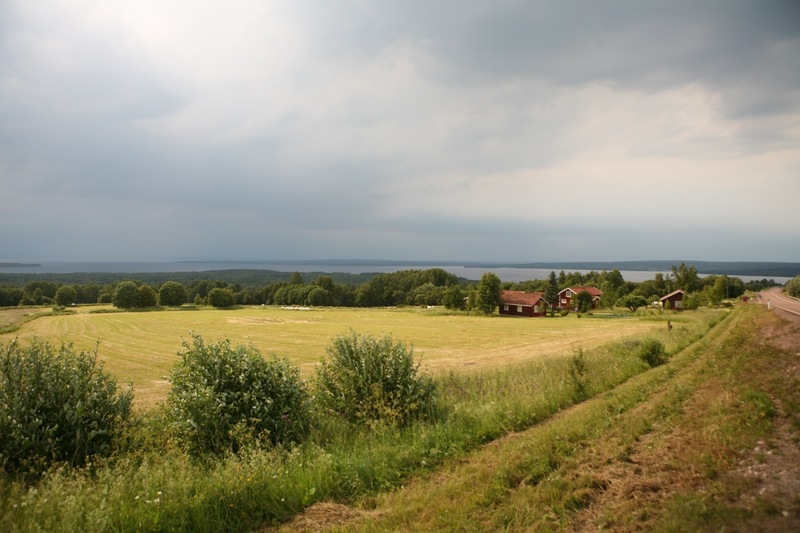 July 7 – The view of Lake Siljan is fantastic from their small farm. I could spend a lot of time here! 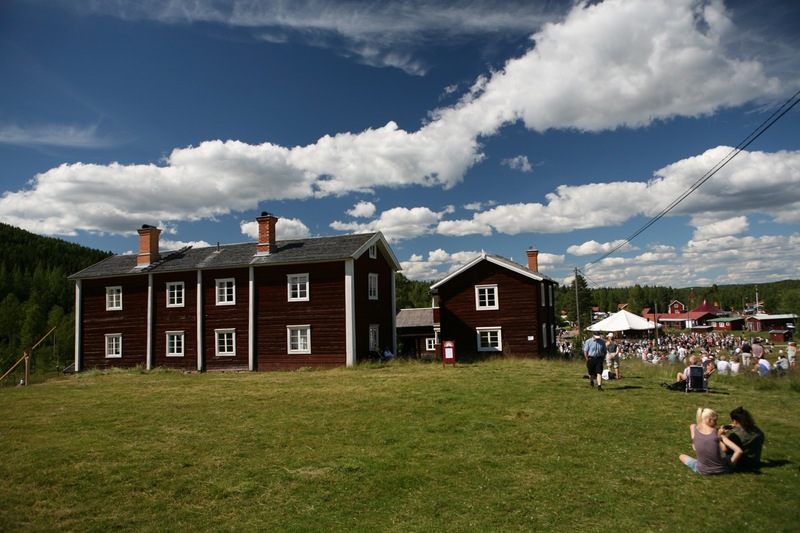 We headed to Bingsjöstämman, which is a large folk music festival. The drive was very scenic, including small mountains, evergreen trees, moss and rocks. There were no villages and not many farms along the way. It was a perfect day as you will see from the photos. We jammed with fiddlers and with my friend Peter. Peter is a good friend and classmate from the folkhögskola in Malung 10 years ago. We will be staying with his family in a few days. There were several venues including a lot of small jams, some dancing, some concerts, music sales, etc. The location had this amazing long sloping hill with old farm buildings on top. 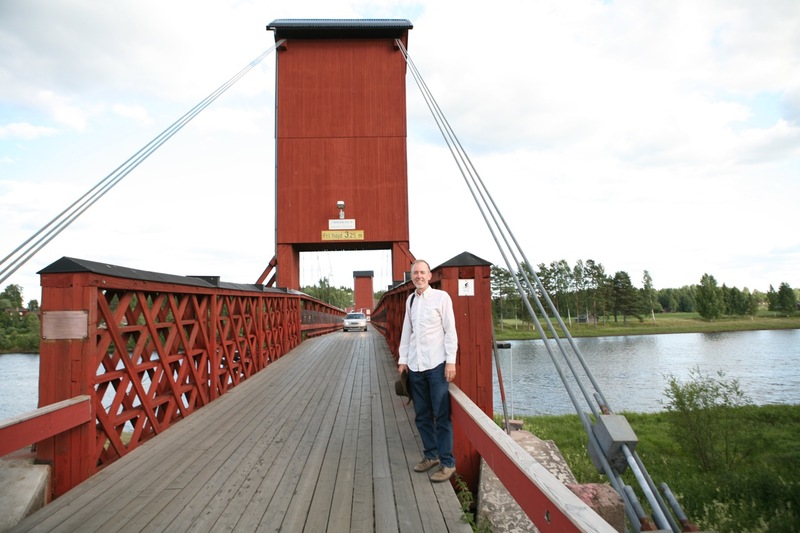 It was like a walkway to the sky for touching the large puffy white clouds.One important person we met (as far as Ingevald is concerned) at this festival was Kristina Lundin who had composed one of the melodies that we used on our recording.There were some amazing small jam sessions. I also met another classmate from Malung, Vendela. 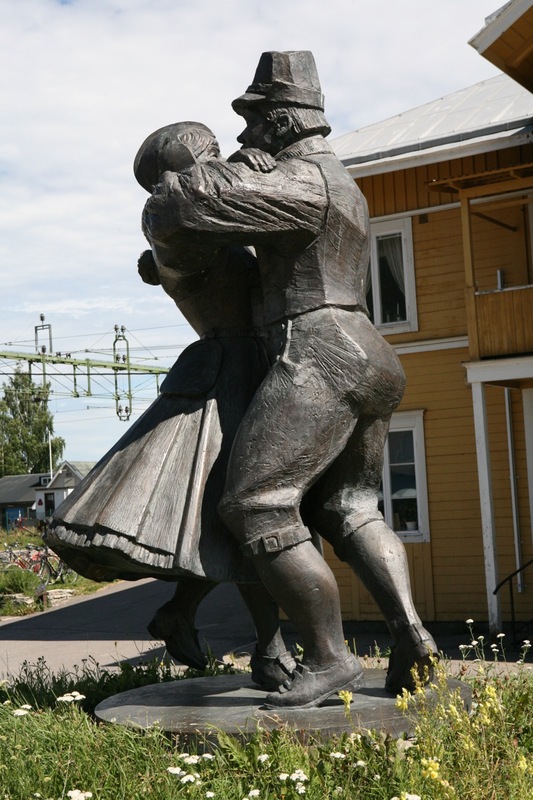 July 8 – We headed in to downtown Rättvik this morning to visit Folkmusikens hus. Their shop contains a very good selection of recordings, books, etc. 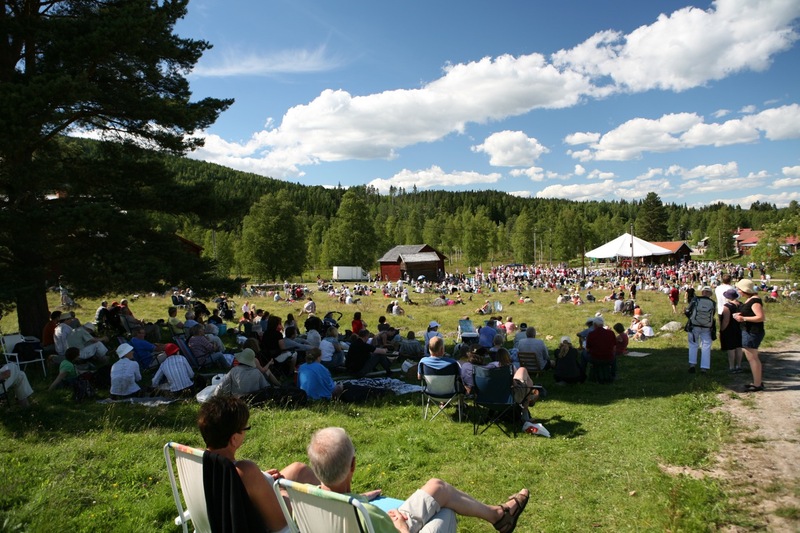 This organization supports folk music and dance in many ways.Today’s big activity was Östbjörkastämman, the folk music festival in Östbjörka. I liked this festival because it was much smaller and was contained within a defined area. We enjoyed a very good afternoon jam with Peter and others and as the day progressed three other music and dance venues opened up. The indoor building and the roofed outdoor pavilion came alive with fabulous musicians and folks dancing to their music. 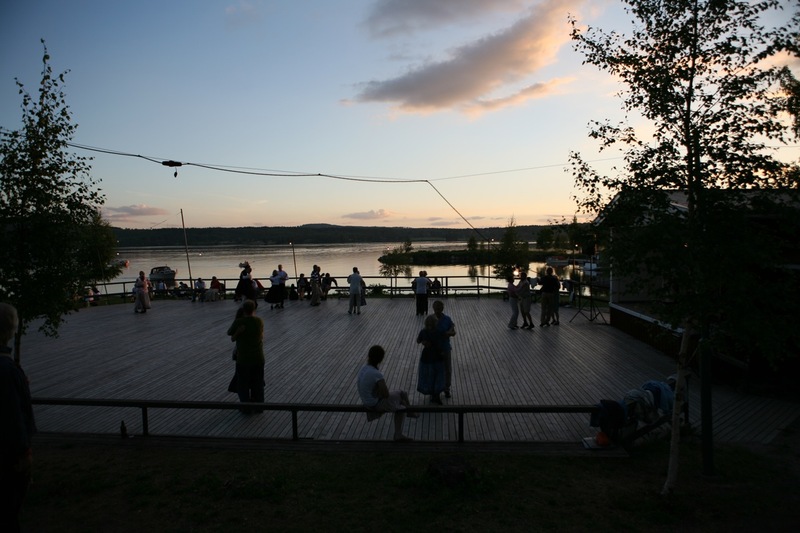 There was also an outdoor deck where groups could sign up and play for dancers. 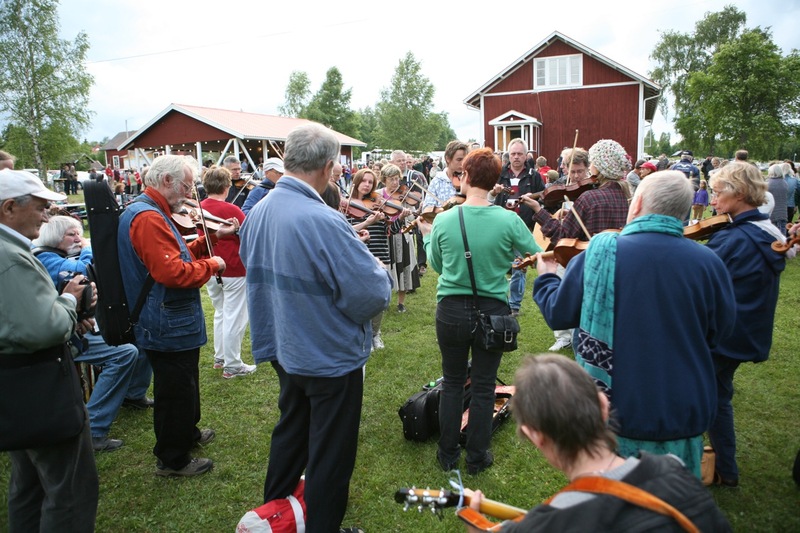 I saw many familiar fiddlers including Gunnar, Sture, Joel, Kjell Erik, Anders, Jalle, etc. We left around midnight when it started to rain. July 9 – It already feels like I have been here a month. Lots of stimulus from many directions! Today we traveled south to Dala-Floda to attend a concert in the Floda kyrka (church) in conjunction with the local Komidsommarfesten. This concert featured the Zorn gold medal fiddlers and included Kalle Almlöf, Björn Ståbi, Per Gudmundson, Per-Olof Moll, Kungs Levi Nilsson, Pers Hans Olsson and Ulf Störling. The music does not get much better than this! I really enjoyed this grand concert. Afterwards we went to the local park where a small festival was taking place. Music, dancing and socializing. The master musicians from the concert were there and I had a chance to visit with a couple of them. 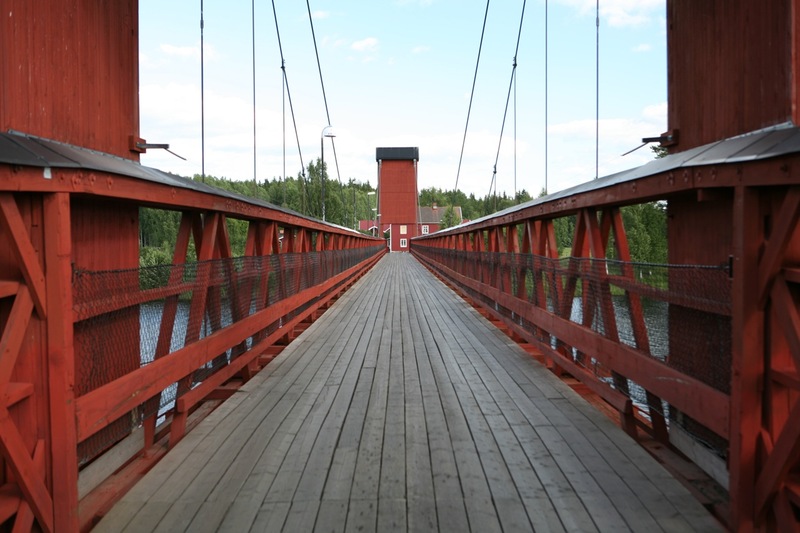 July 10 – Today we participated in a workshop led by Ola Bäckström in Hjortnäs (near Leksand). He taught tunes from the village of Ore. After the workshop and a quick trip into Leksand for groceries, we went to an evening outdoor concert and dance near Hjortnäs.Later that evening Paul and Susanne played some tunes along with a neighbor. 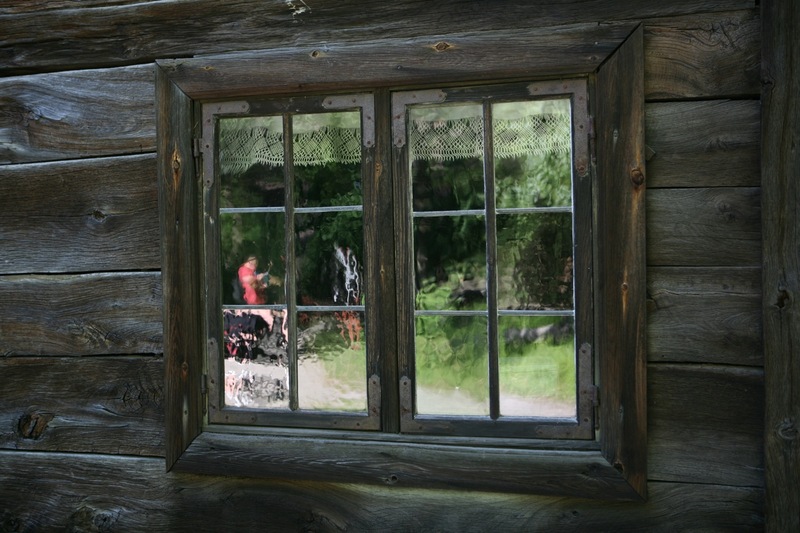 It was interesting hearing tunes from the local area, Gärdebyn. 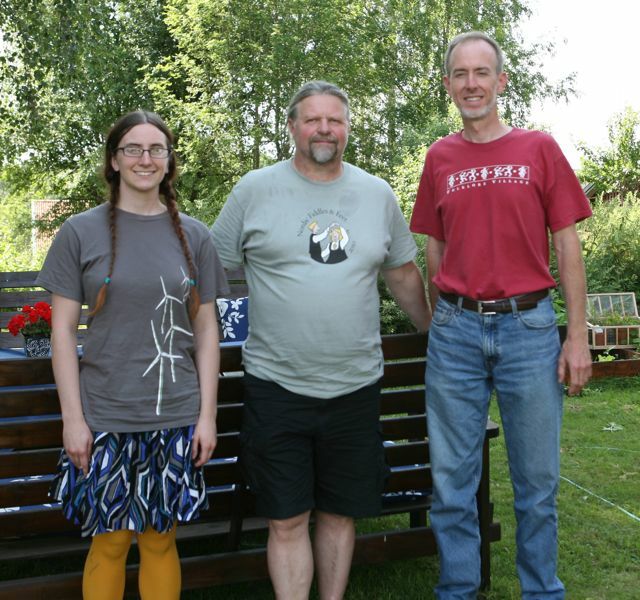 July 11 – We traveled to Sandviken to meet with Tony Wrethling for a lesson. 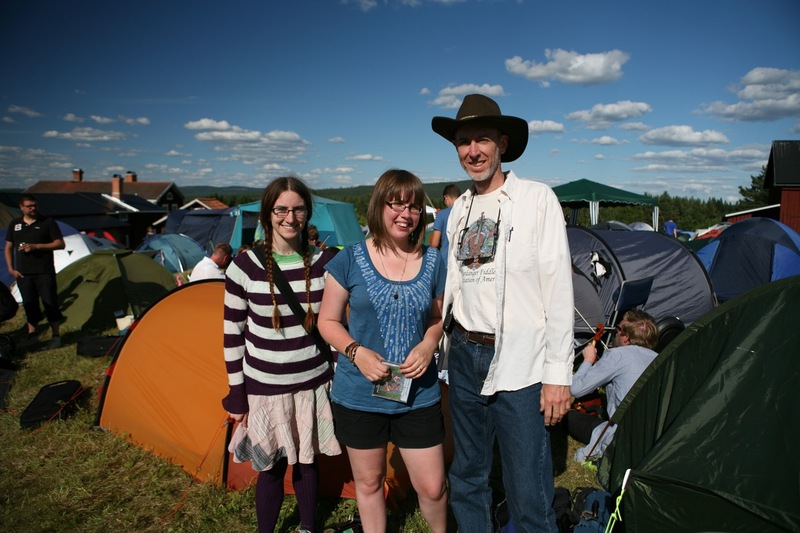 I met Tony in 1992 at the Scandinavian Week Camp at Buffalo Gap in West Virginia. 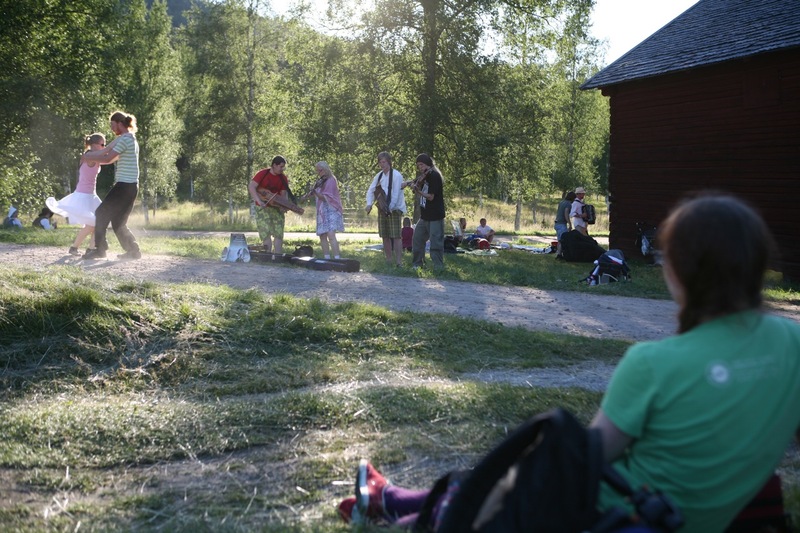 He provided me with my first impression of Swedish folk music at that camp. I still love playing tunes that he has taught from the Gästrikland region. 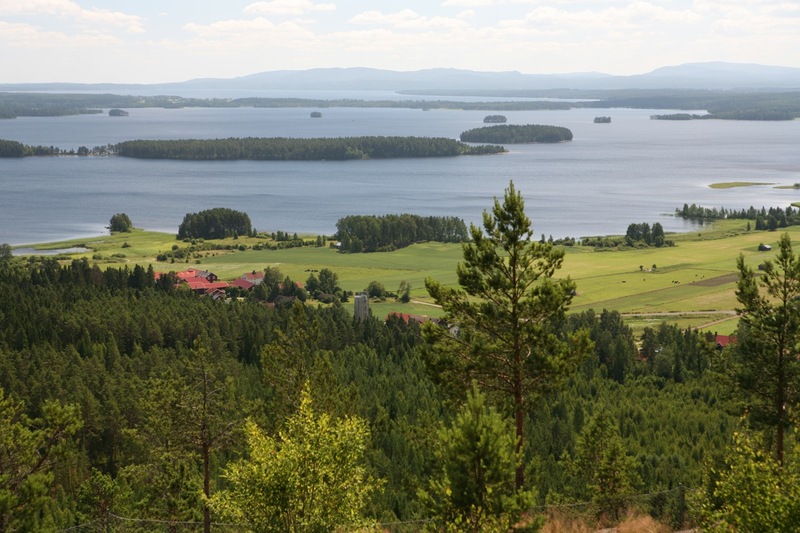 The view of Lake Siljan from the top of the hill is one of the best (see photo). 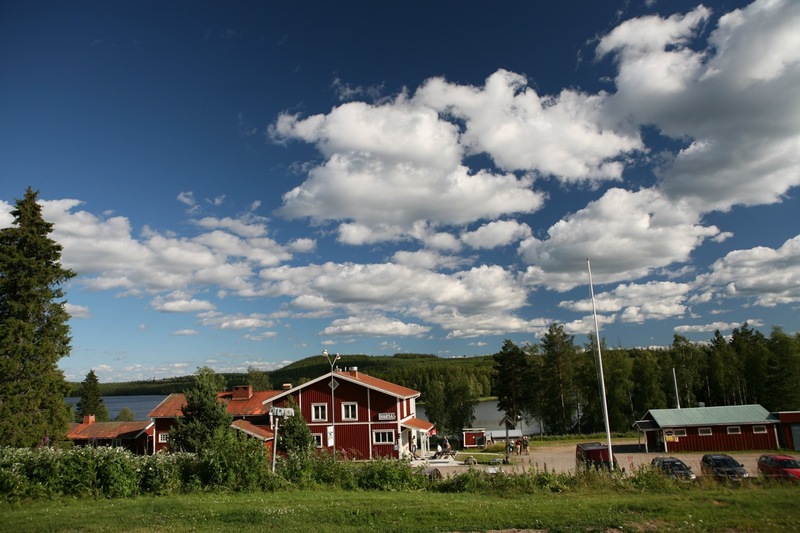 We got back to Rättvik later than expected and rushed off to stay with Peter and Victoria at their summer cottage north or Orsa.We drove through a torrential rain along the way, took a few wrong turns, but eventually got to their place. 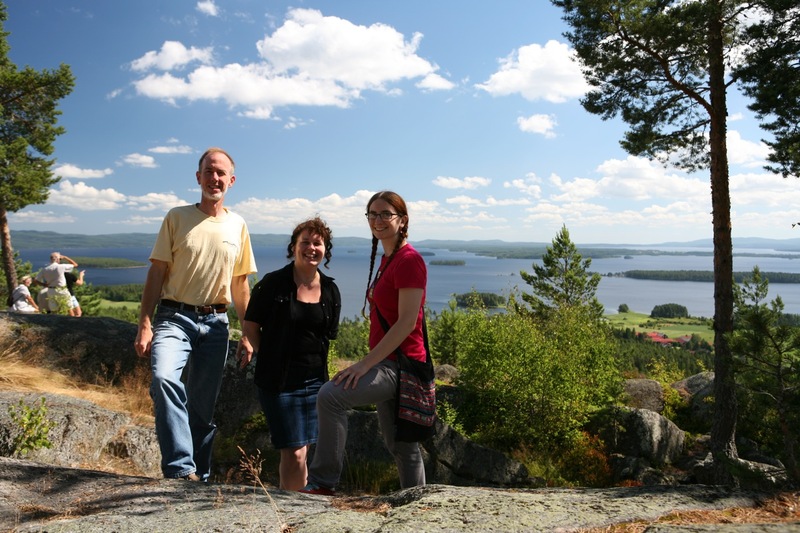 They have an amazing southern view from their mountain top location with lake Siljan on the distant horizon and Orsajön lake in front. Their two young children were a lot of fun. That evening the mountain was enveloped in fog, mixed with a dim twilight. July 12 – Today was busier than planned but the wrong turns were fortunately at a minimum level. We left early in the morning for Malung. 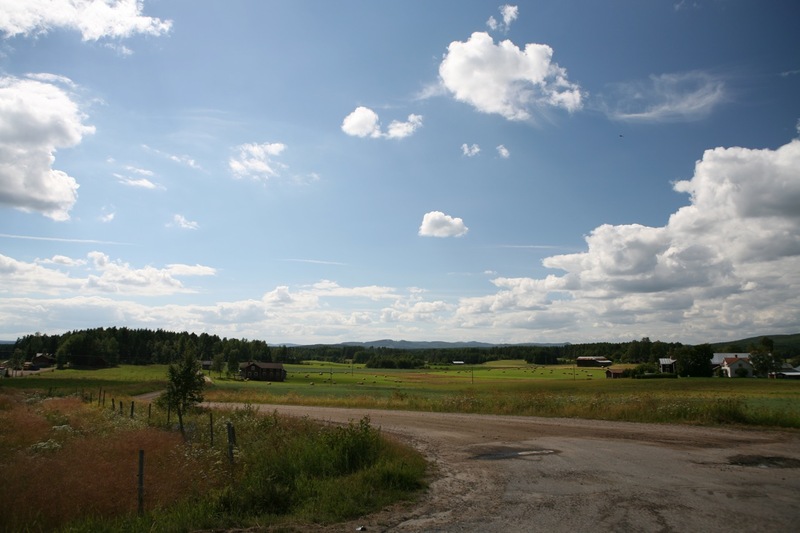 We drove through a very isolated part of the Swedish countryside. Hardly any villages and very few farms were seen along the way. The rolling forested hills were spectacular and every so often there were the most amazing lakes that reflected the richly colored sky. The atmospheric conditions were perfect.We visited Anders Rosén first. I picked up a stack of recordings that he produces on the Hurv label. We also spent some time playing some tunes and getting some helpful tips. 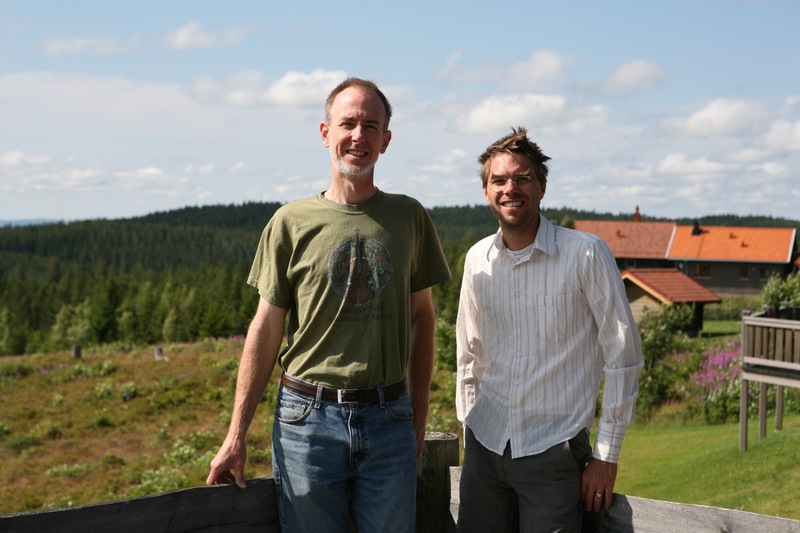 Next we went back to Malung to meet my friend Anders, the librarian at Malungs Folkhögskola. I had some time to walk around my old school and soak up its beauty in the summer sunlight, a contrast to the conditions I experienced when I was studying here in the fall and winter of 2000. I took pictures and collected a few lichens. Anders arrived and let me in to see the old room, one of my favorite retreats while at school. We also had a short but worthwhile conversation about politics, one of his favorite topics! 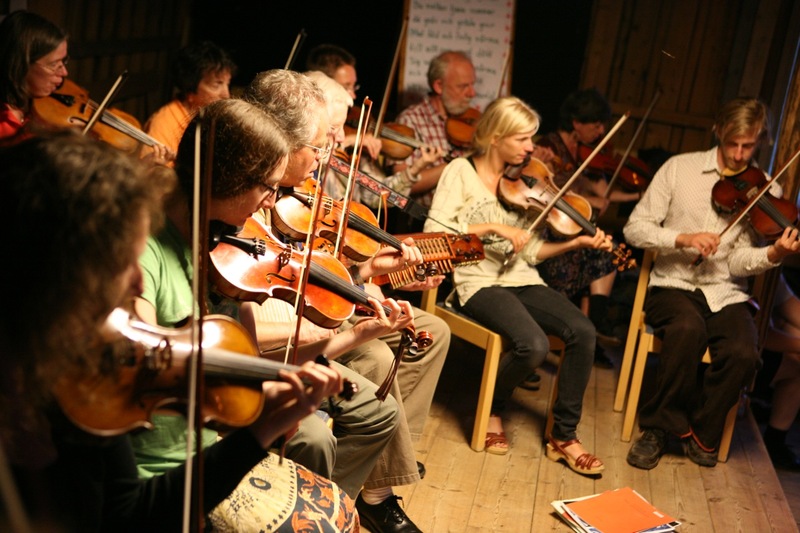 That evening we met with Ulf Störling, another top notch fiddler. 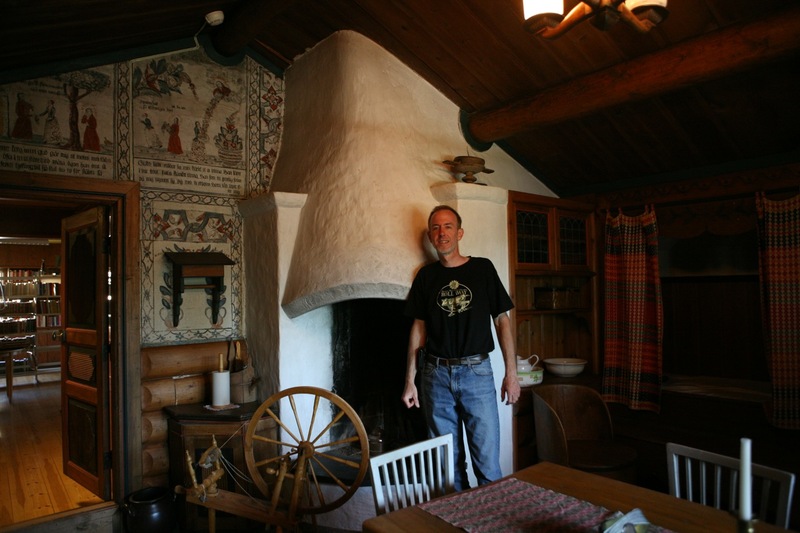 I am very interested in the baroque technique in Swedish folk music. The evening playing time with him was very helpful. 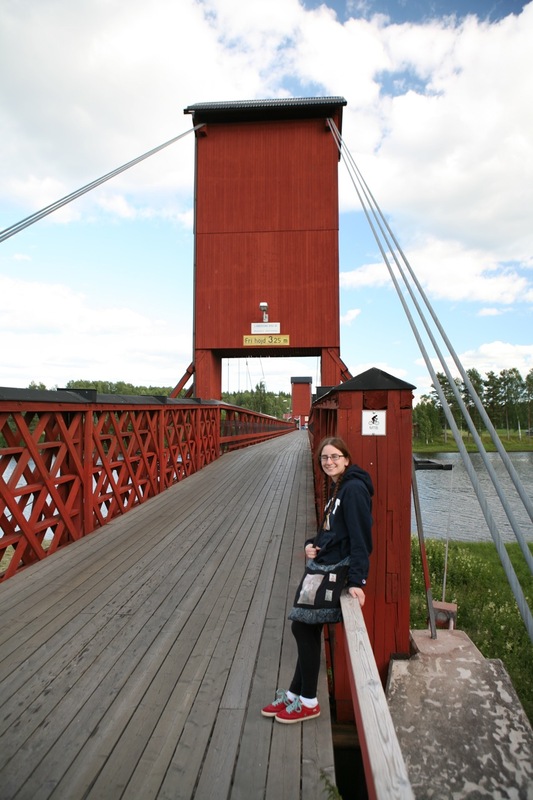 July 13 – Today we decided to take a day trip to Falun to visit Falu Gruva, the ancient large copper mine. 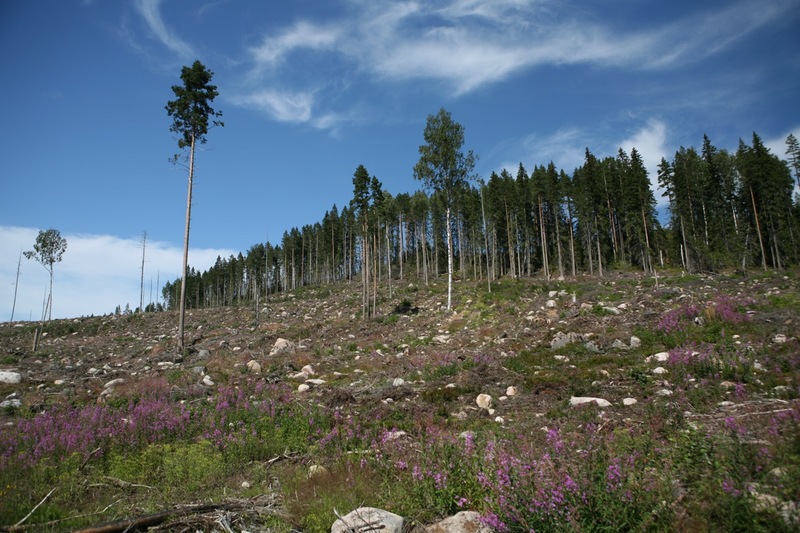 There is an interesting Wikipedia article here or go to the Falu Gruva site here. 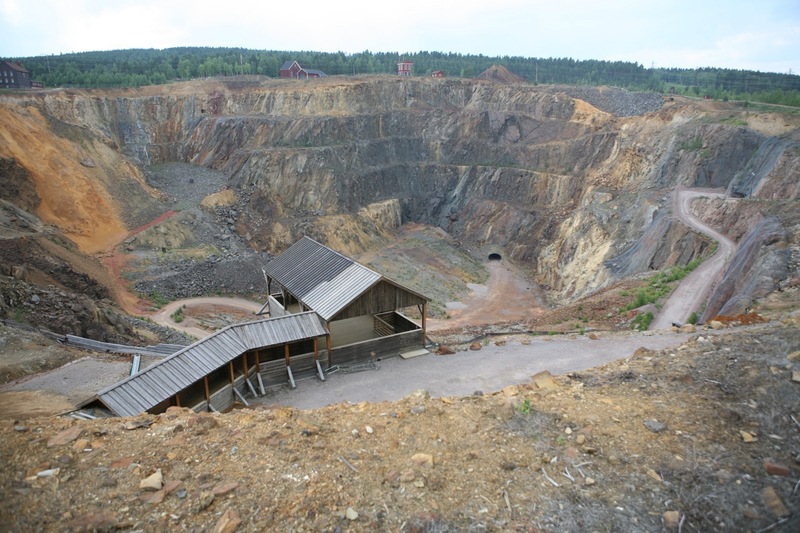 I had wanted to see this place and was excited to get a close look at the open pit that opened up from an enormous collapse in 1687. 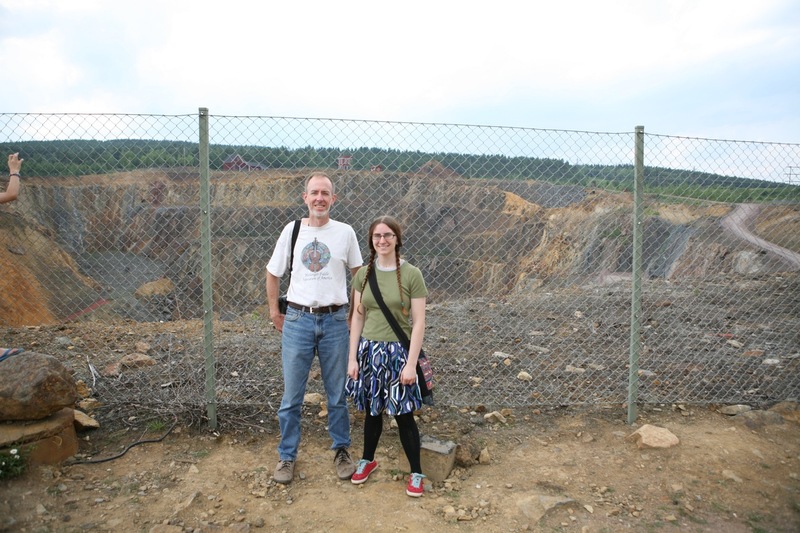 Peter, Ruth and I traveled to the mine and toured a section that operated in the 1700’s if I remember correctly. 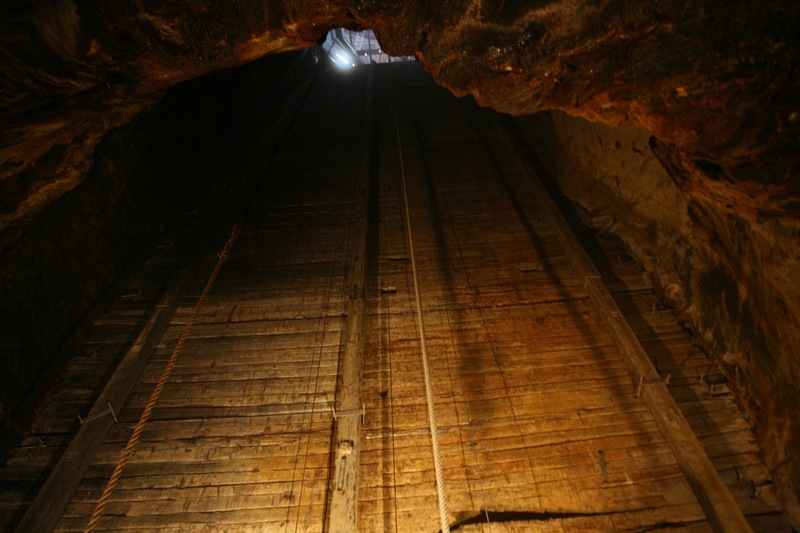 We experienced the dimly lit working conditions from the period, saw old drifts, large preserved timbers, exit shafts, old wooden ladders, etc. It was very clear that life as a miner was quite hellish. The fumes, toxic metals, slippery ladders, etc., made this a very hazardous place to work. 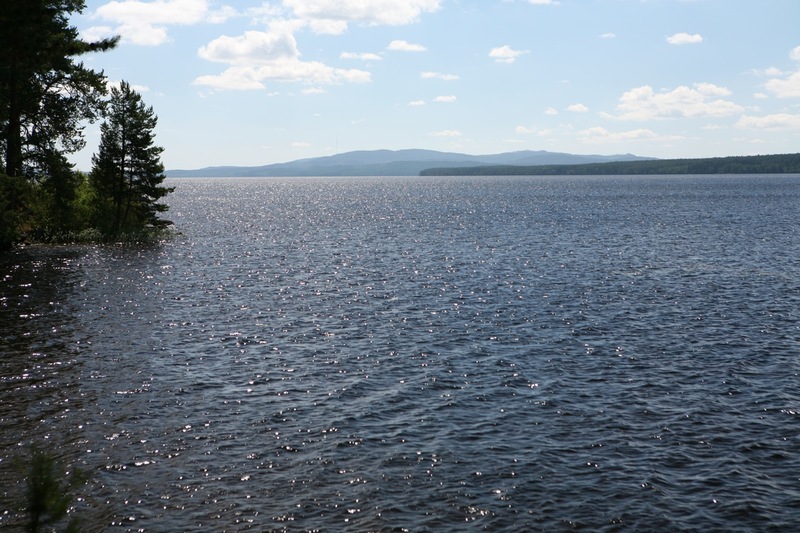 July 14 – I continue to marvel at the beautiful view from their cottage. The picture is always changing with the light and clouds. Their exact location is close to Grönklit which also is home to the Orsa Björnpark och Polar World, a place we did not visit. 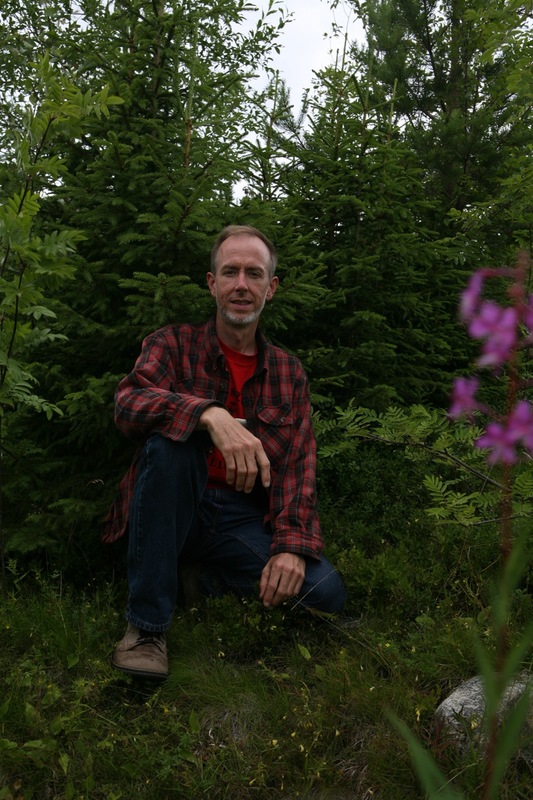 This morning we took a hike to a mountain bog just north of their cottage. 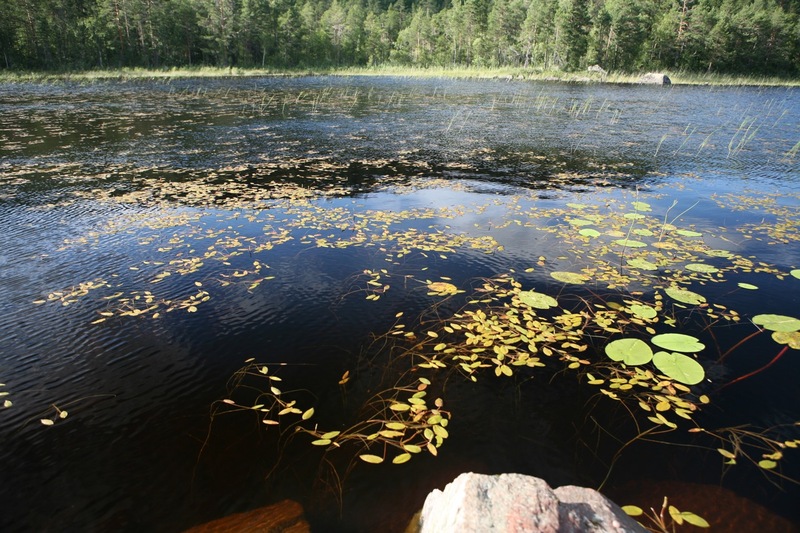 It was a beautiful lush area with a clean, clear and dark lake! 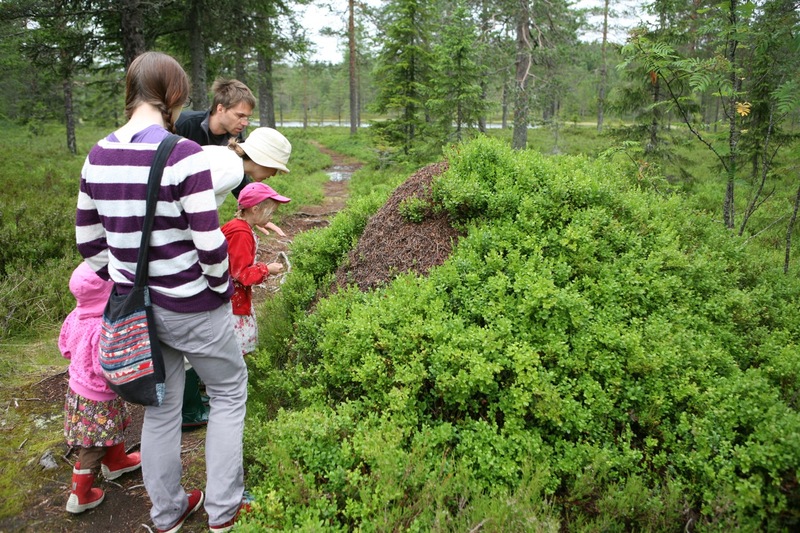 I wanted to find a canoe… On the way we encountered something I had never seen before, a very large ant hill. 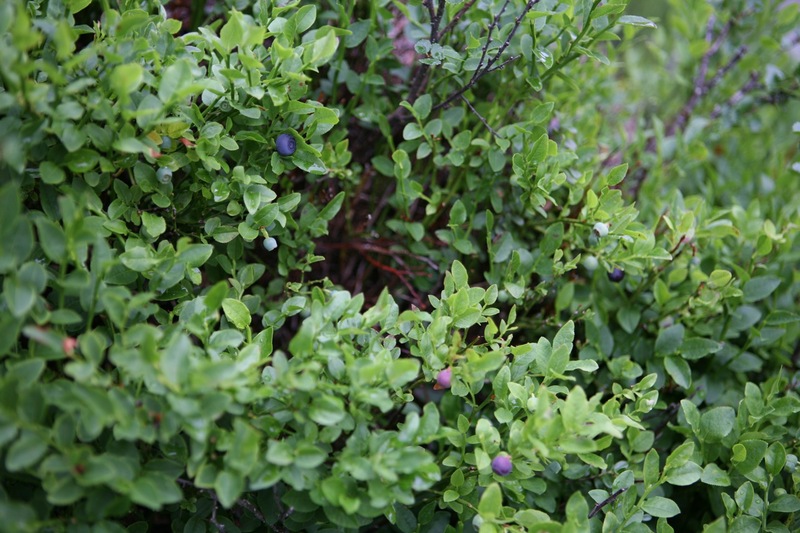 It was almost entirely covered with lowbush blueberry plants. Peter showed us that holding our hand next to the nest would cause the ants to spray out a defensive chemical, an odor I did not recognize. 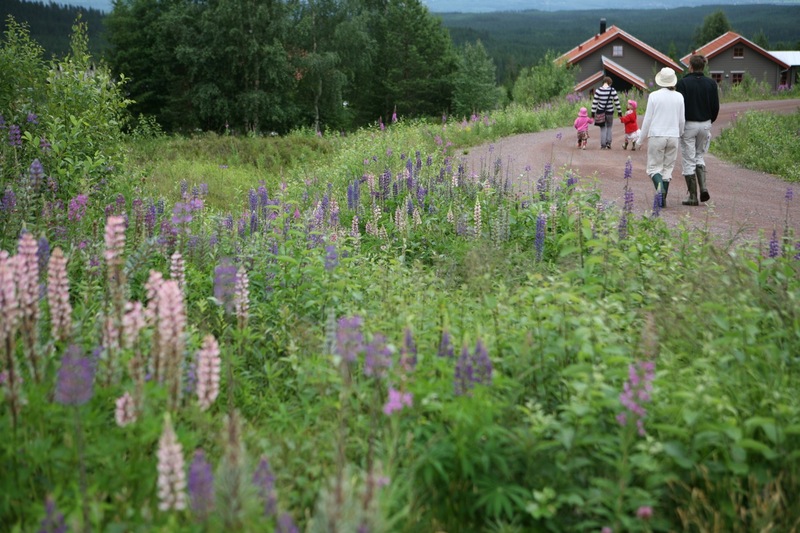 The next big adventure was a visit to a fabod, a summer mountain farm. 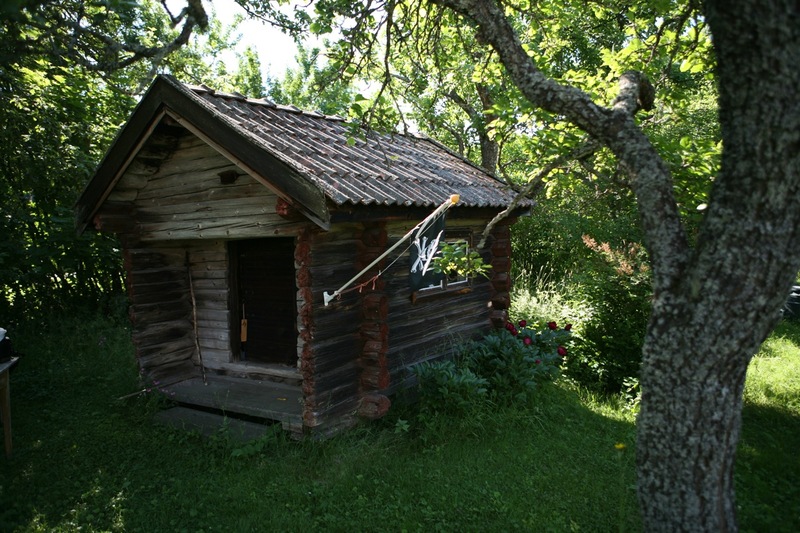 We went to one called Skräddar-Djurberga about 20 minutes northeast of Orsa. This beautiful farm has been in operation for over 300 years. 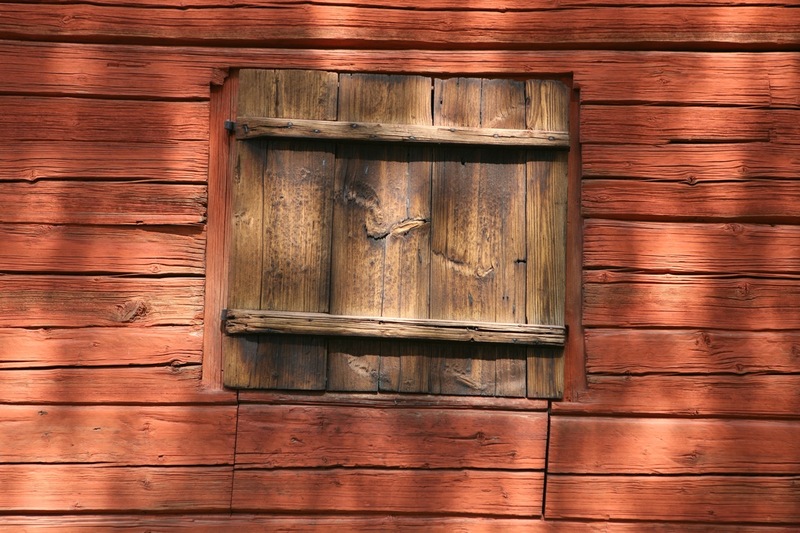 There are old buildings dating from that time all over the property. 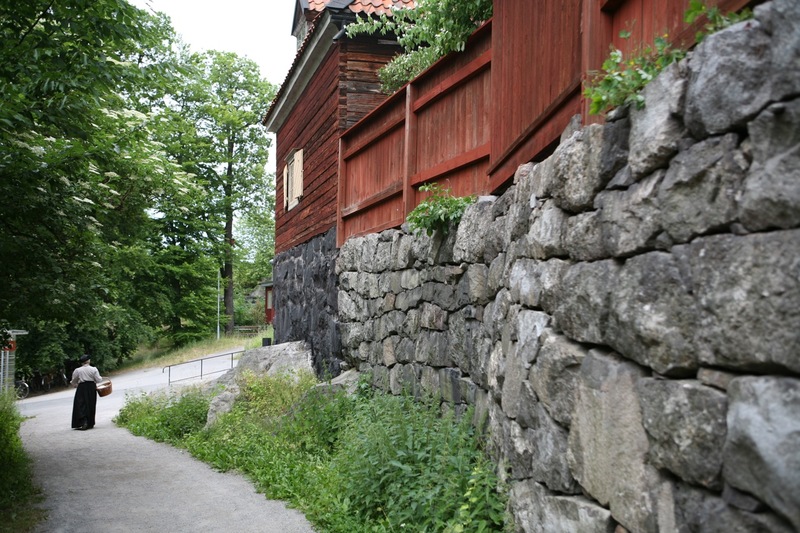 The animals are kept in or out of areas with the “standard” Swedish fence. 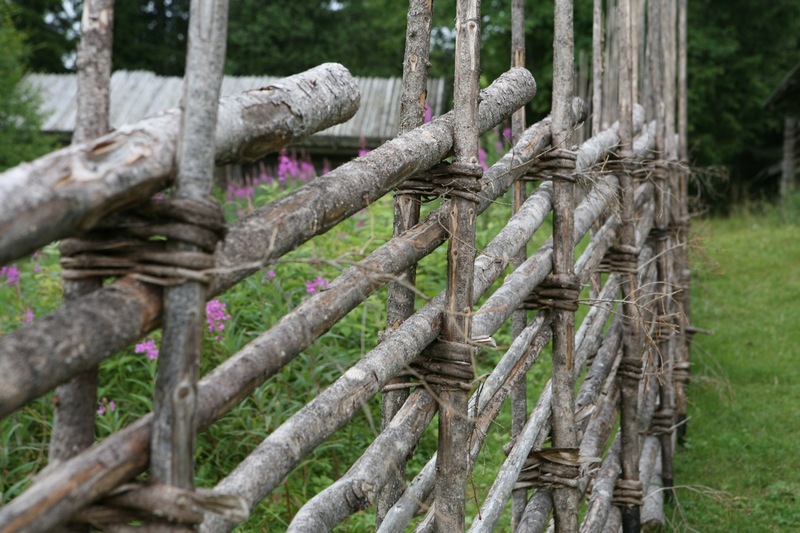 (I don’t really have a name or better description for this type of fence. It is very common) On this farm they had small sized cows, pigs, chickens and a farm dog. They produced various products including cheese, butter, milk, bread, etc. We had lunch here and supplemented it with some butter, cheese and bread. It was all very delicious! On the way home we stopped at Victoria’s grandmother’s farm. 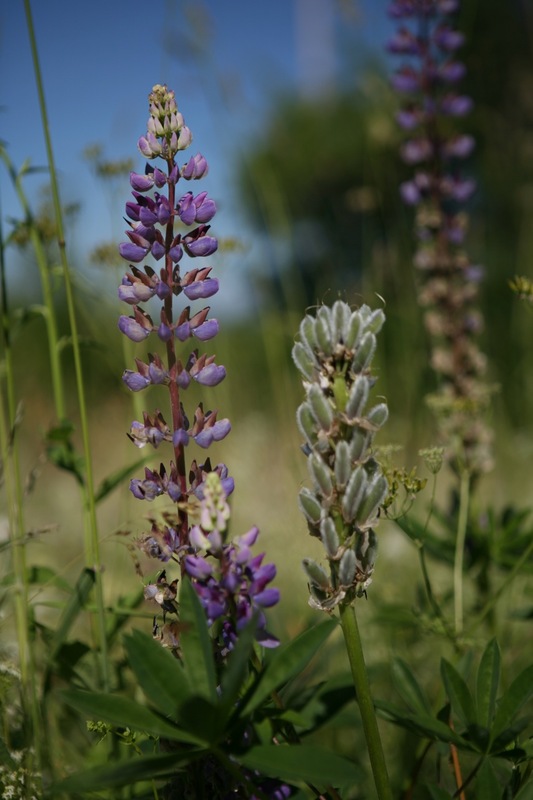 Her grandmother cultivates a beautiful vegetable garden that includes berry bushes and a few apple trees. We played music outside for a while, enjoying the weather and each other’s company. 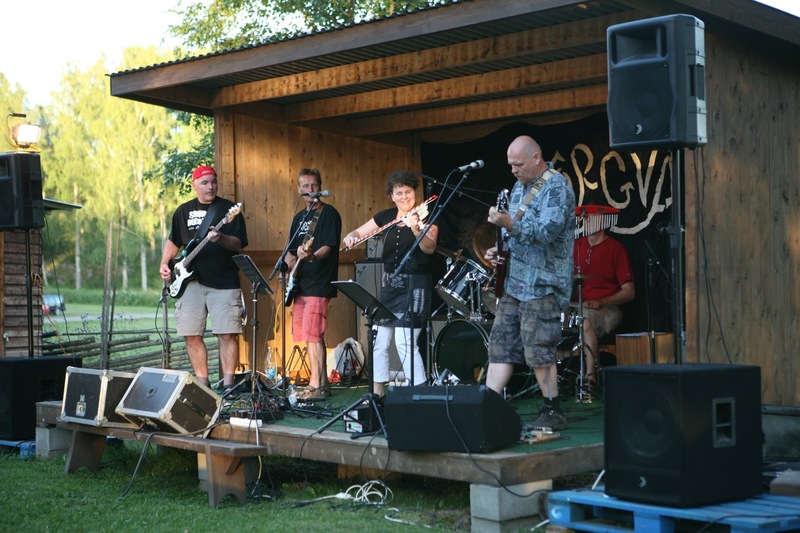 That evening we went to a local musical event in Orsa called Orsayran. It starts with a lot of musicians marching down the street parallel to the train station, singing and playing a tune. They then dispersed to various spots on the streets of Orsa and play music and some changed location. Lots of local folks came out for this event. 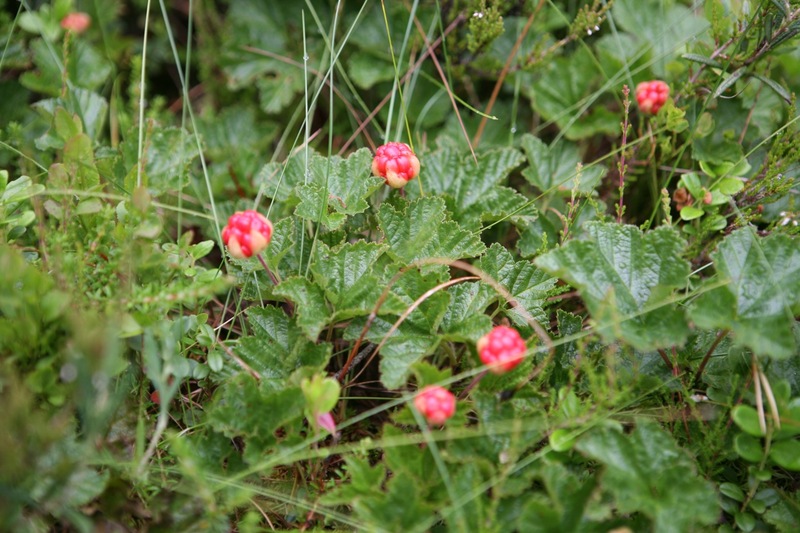 July 15 – We left late this morning for Delsbo. On the way down the mountain from Grönklit, we saw a large moose beside the road. It disappeared before we could dig out our cameras. 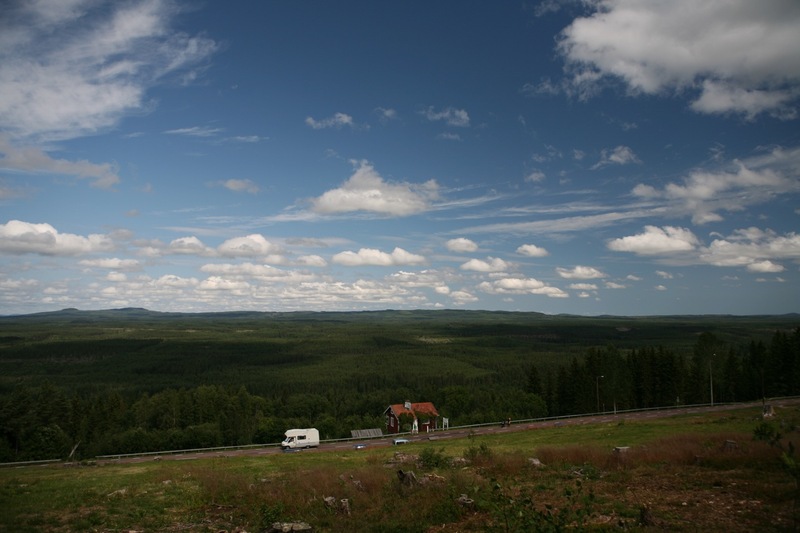 The road to Delsbo was scenic (most roads in Sweden are very scenic). We traveled through a very isolated region and as we got closer to Delsbo, the size of the mountains increased. I was pleasantly surprised. There was also a section of highway that was a dirt road (a very isolated area). 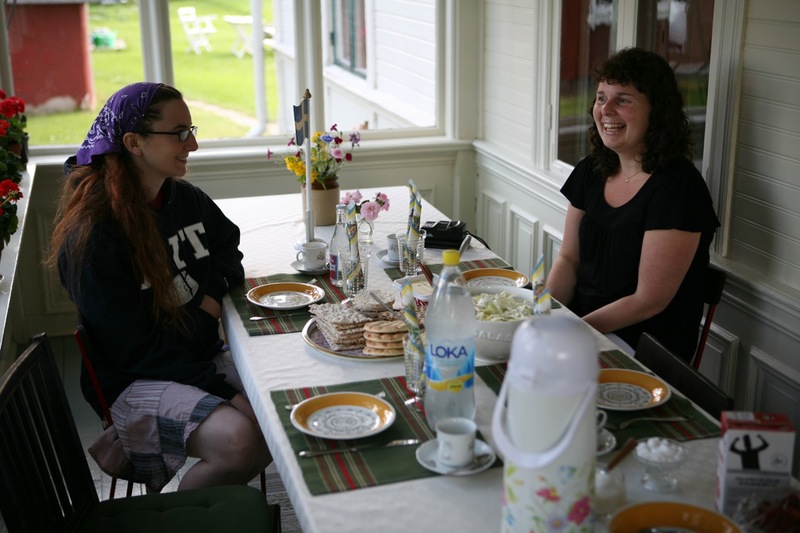 We stayed at Delsbo Camping while visiting Johanna, a classmate from Malungs Folkhögskola. The trip to Sweden would have been fabulous just seeing Johanna and Peter again – I am very appreciative of these good friendships. Ruth and I played a lot of tunes with Johanna and caught up on some happenings in our lives. Johanna’s partner, Pelle, was also very interesting. He gave me a tour of his special backwoods hunting vehicle, an old Volvo from the Swedish army. 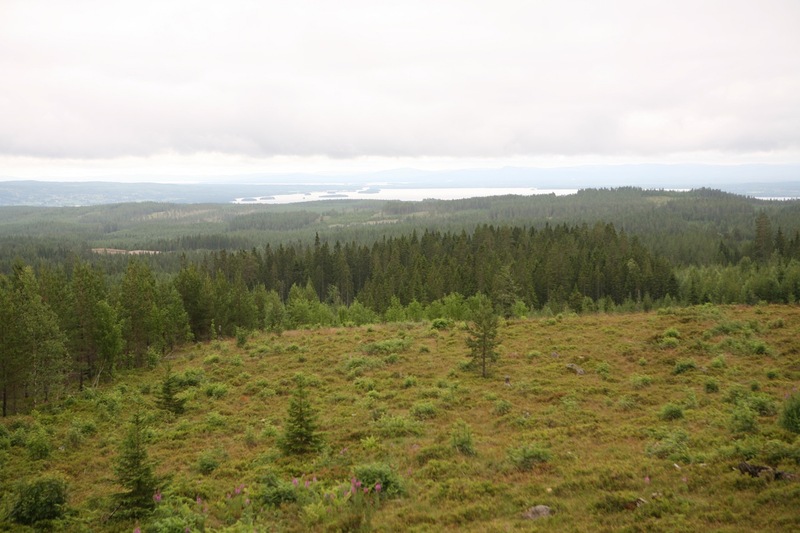 It has four wheel drive and would certainly go just about anywhere.July 16 – Johanna gave us a very good tour of the Delsbo area, showing us some very interesting sites. 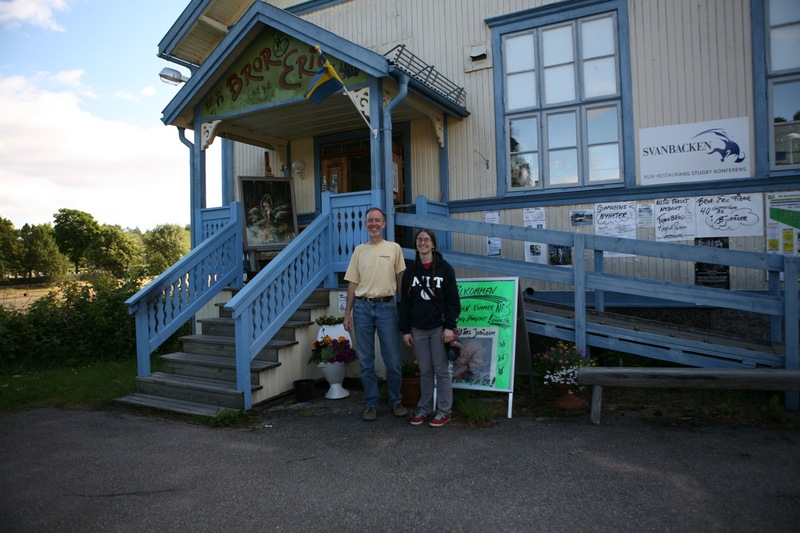 We stopped at Bror Erik’s art shop, to view his interesting paintings and other items. I got a close up look at one of the ancient looking bell towers by the local church in Bjuråker (not far, just north of Delsbo). The shingles on this structure look like the scales from a dragon. We played some music by a beautiful lake and drew a small crowd of people. 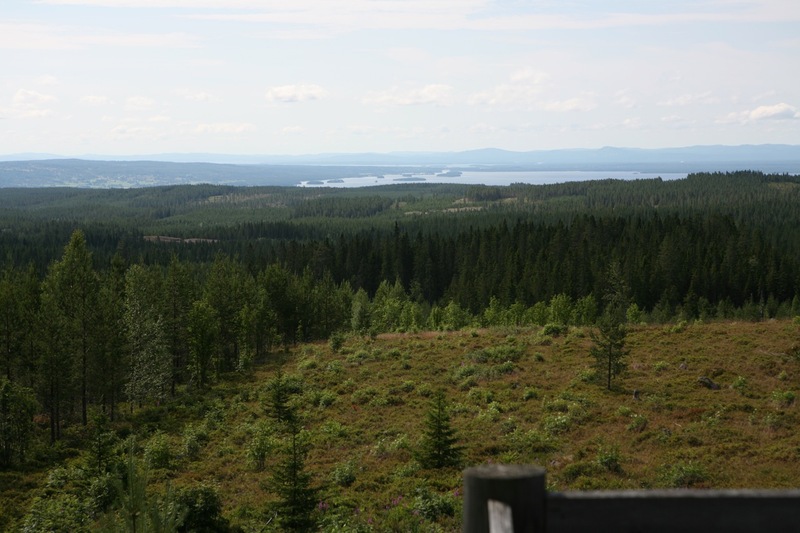 Afterwords she drove us to a special mountain spot that overlooks Norrdellen Lake. This was one of the most scenic places I had seen on the trip so far. Scenery does not get much better than this. The water, trees, islands, sky and clouds were absolutely beautiful! We picked blueberries and had lunch at the mountaintop shop. Coffee and a snack from a bakery located in an old mill was a treat early this afternoon. The clear creek that ran past was very relaxing. That afternoon we drove to Ljusdal to drop off one of our CDs at Erik Ericsons Bokhandel. They had given me permission to use some tunes on our recording project. On the way back I stopped by some beautiful lakes to take some photos. After super we headed back to Bjuråker to participate in some jamming with the campers who arrived before the big festival this coming Sunday. I ended up jamming with some folks who were going up to Norrlandia camp to dance. That evening Johanna’s folkrock band, DÔRGVA, played for a couple of hours that evening for a good sized crowd. I enjoyed listening to them very much. I noticed quite a few old classic American cars in this area. They were seen everywhere, but there seemed to be more here. I was amused when I saw one of the parked, stereo blaring away playing some old 1950’s hits.July 17 – We participated in a dance workshop northeast of Delsbo for most of the day. I shook off some rust from my feet and found a beat in my dancing during this workshop that I had “lost.” We reviewed/learned some polska dances, hambo and a schottis. That evening we ate a very good meal with Johanna and Pelle and played more music! I discovered that my digital recorder eats batteries. One would think that a smaller device like this would be designed to be energy efficient. I also had some problems with it not accepting some brands of micro SD cards. Aside from this gripe, the rest of my equipment performed quite nicely. I was very pleased to have a decent camera on this long trip.July 18 – We started the day with a visit to Johanna’s parent’s place. 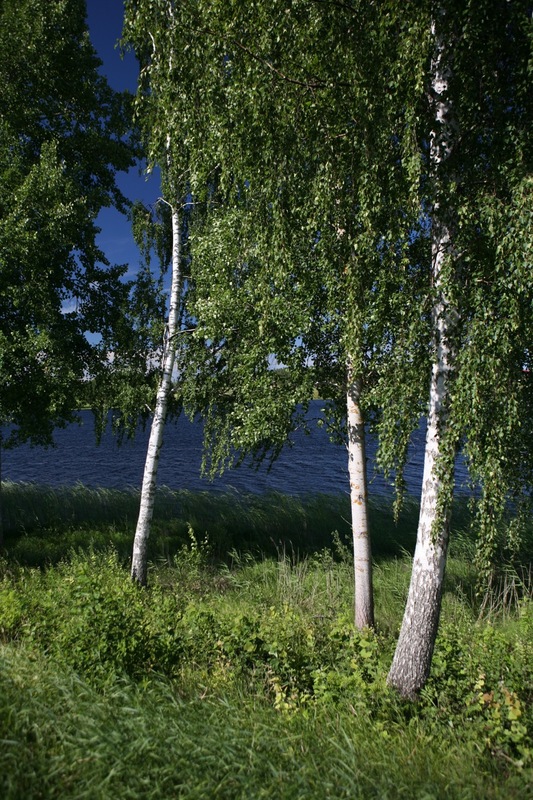 It was in a perfect location having a lake in nearby and some flat land perfect for their beautiful gardens. The house itself was very interesting. 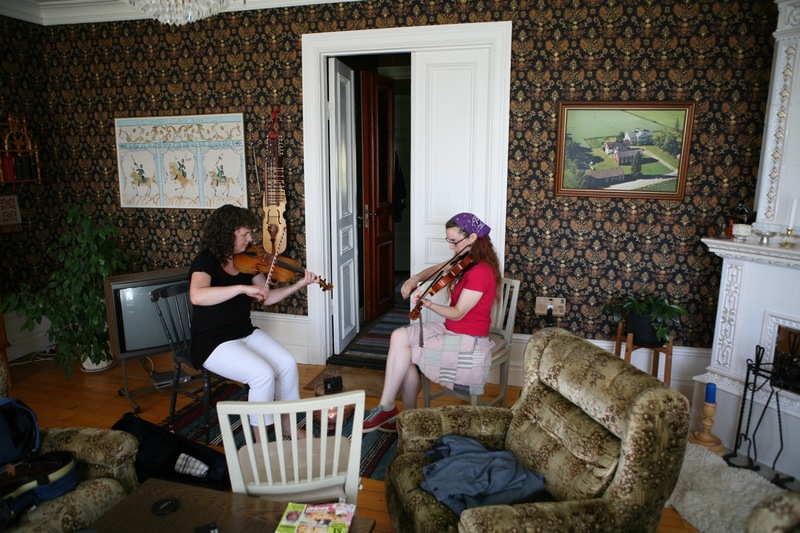 We were served a very nice brunch, played some music and saw some of Johanna’s very nice rug weaving projects. 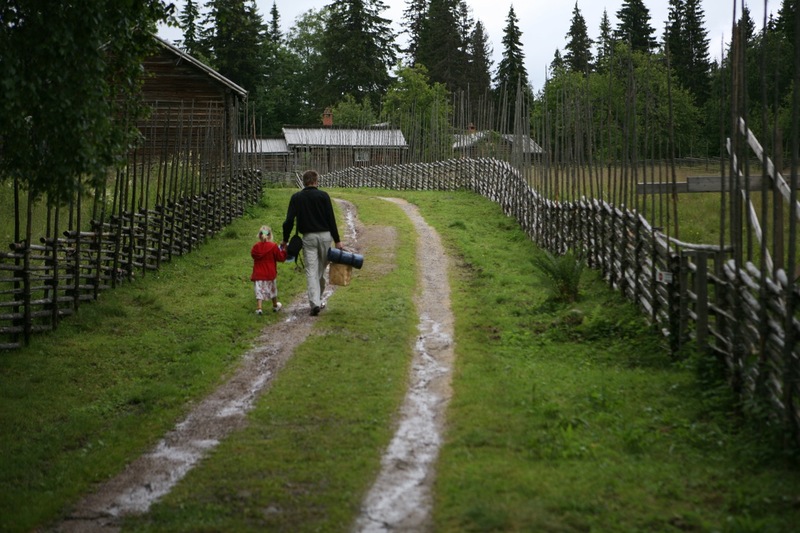 That afternoon we headed to Norrlandia Camp, just south of Järvsjö, an hours drive away. 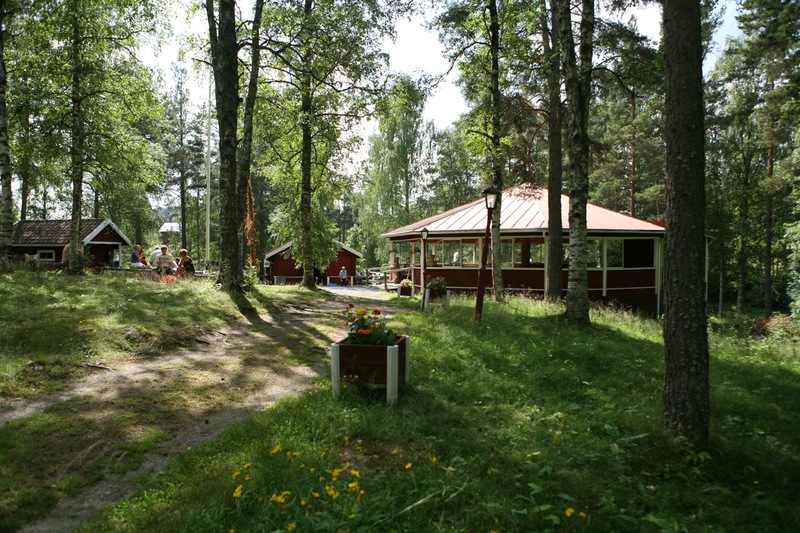 The camp is located at Harsagården which is a youth hostel, a winter ski area and is located in the middle of a very isolated area. 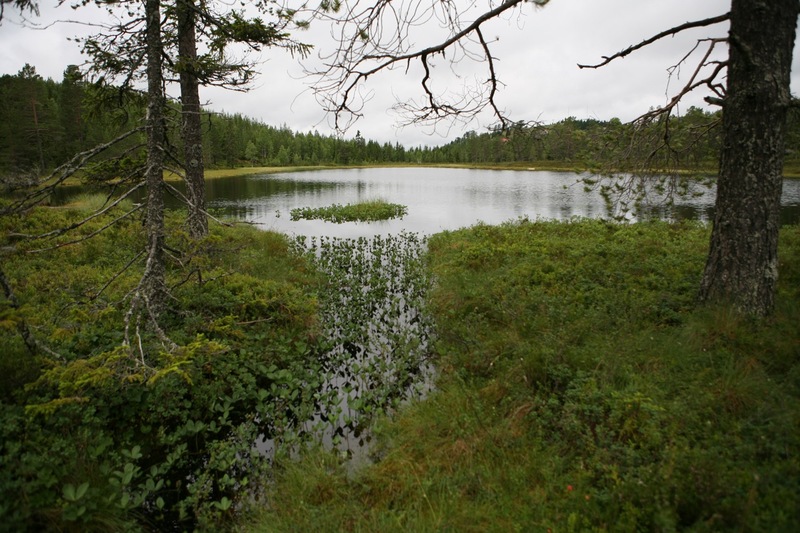 There are mountains, evergreen trees, bogs, a lake and a very good camp! When we arrived, some young ladies were leading a group of cows down the mountain back to s summer mountain farm. Rosemary arrived about two hours after we got there. She came on the bus that picked up most of the campers from Arlanda airport. The evening meal was excellent, a very large selection of food! There was dancing and some fiddling that evening. Mid evening we were treated to some cow horn calls and singing around the lake. 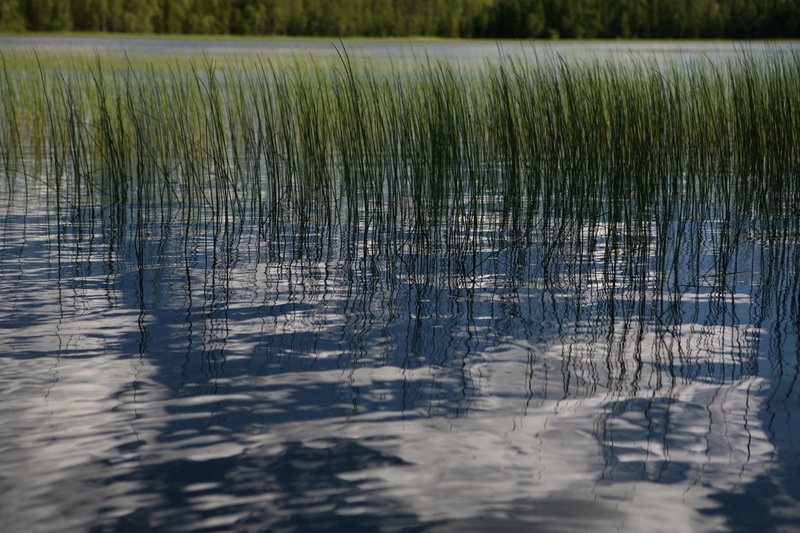 These melodies were very beautiful and haunting as the echoed across and from the lake. The mosquitoes have not been too bad around here. They are very slow and easy to swat. The gnats however, bite and I had perpetual itches for most of the trip. 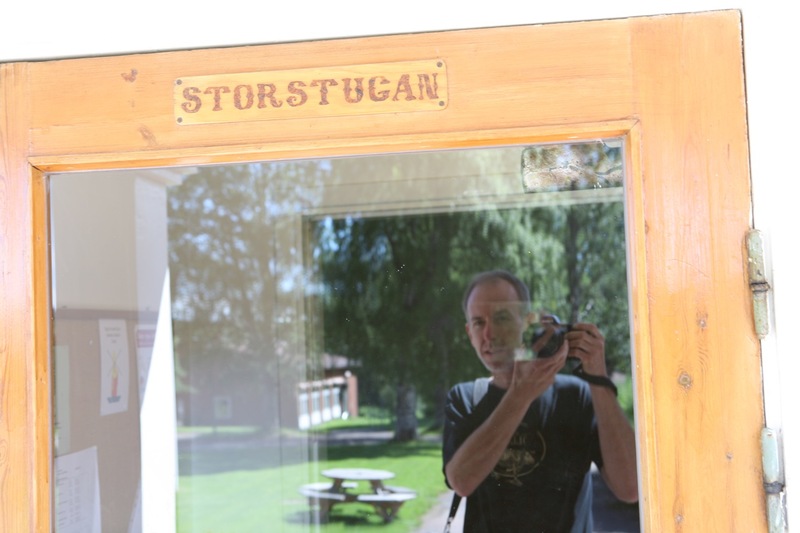 The adventures in Sweden are continued on the next page, click here.